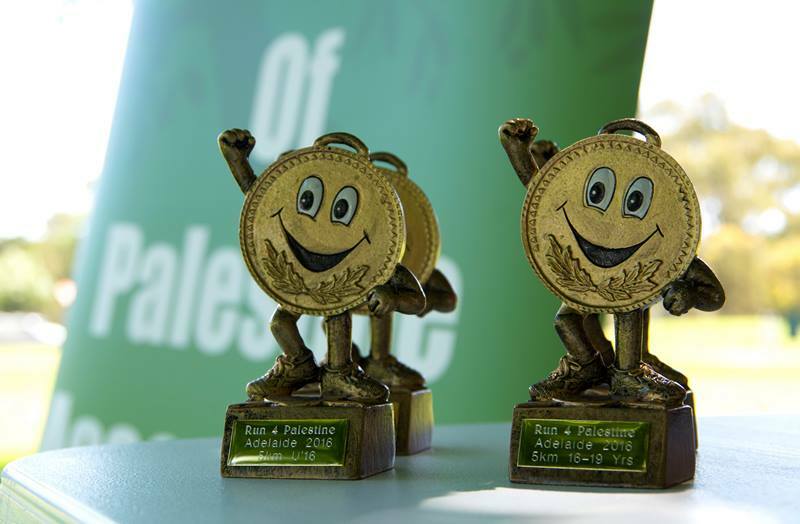 2015 – A big hit! 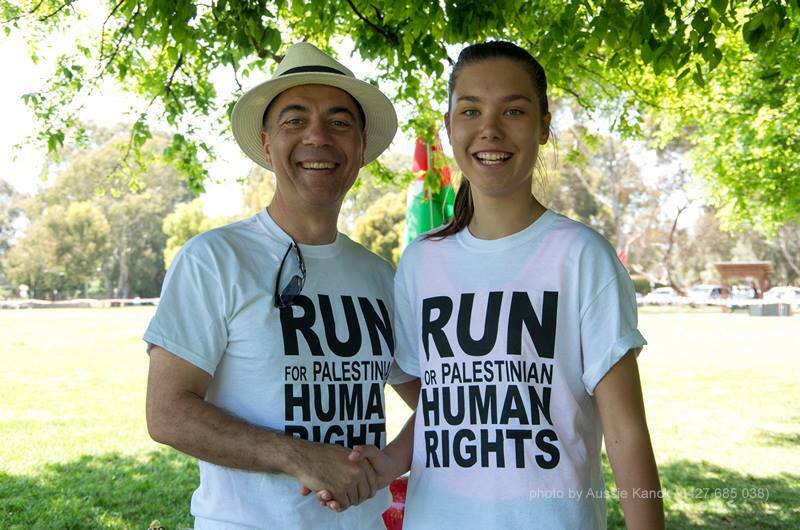 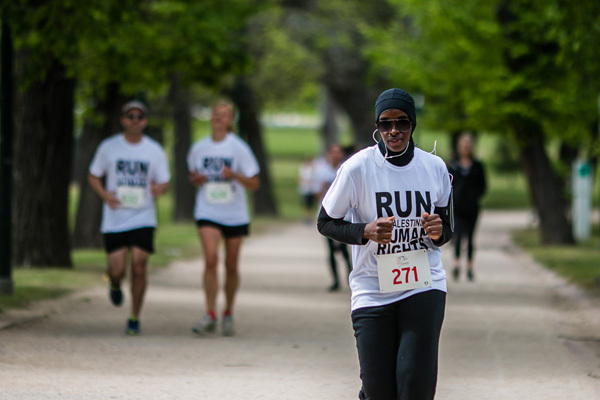 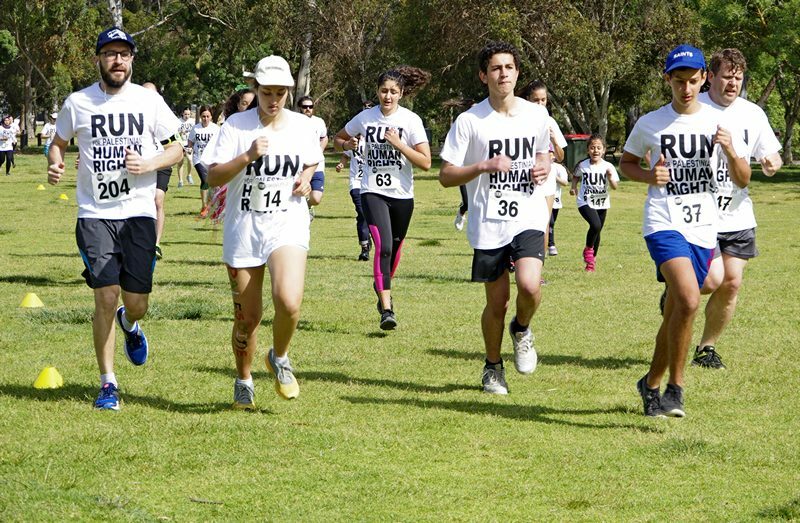 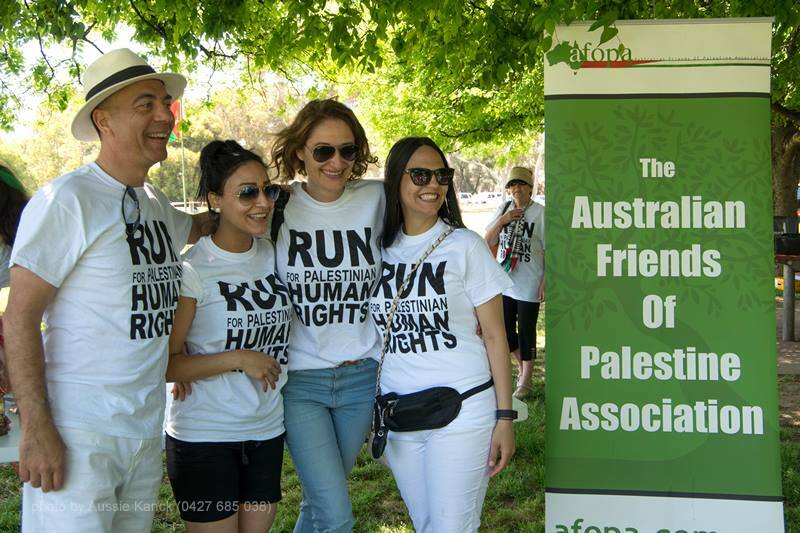 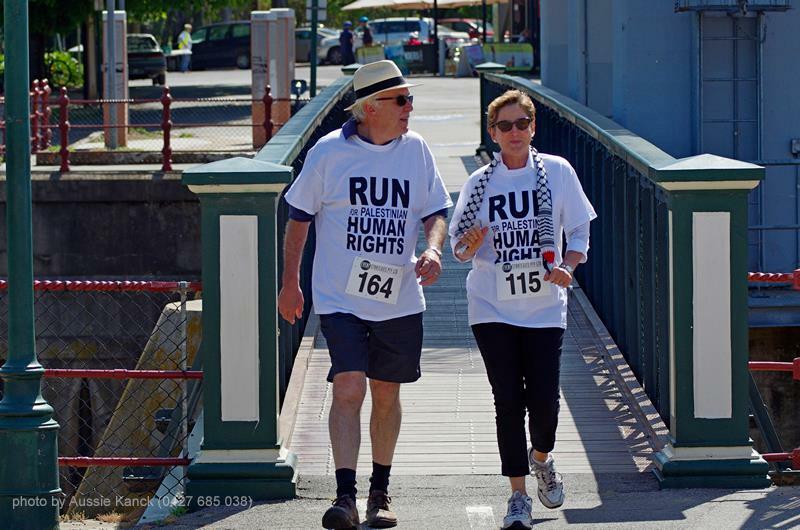 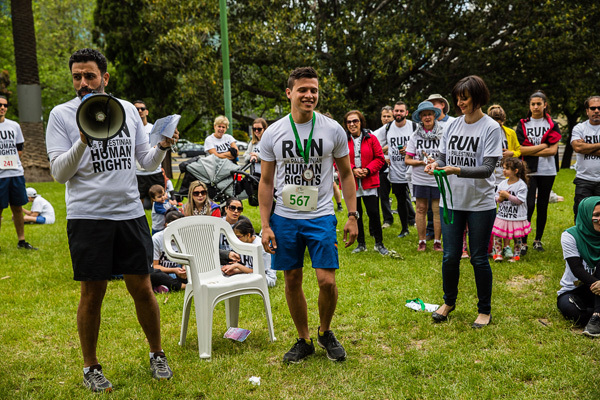 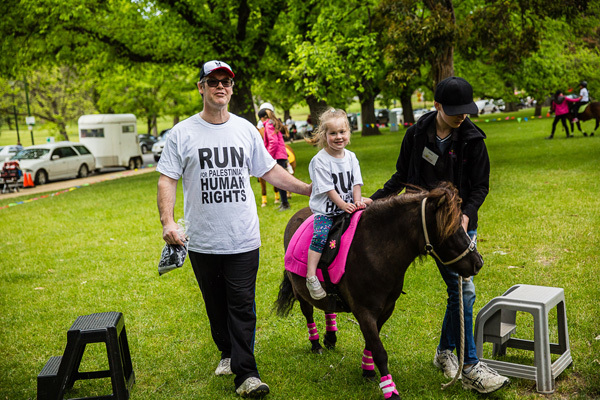 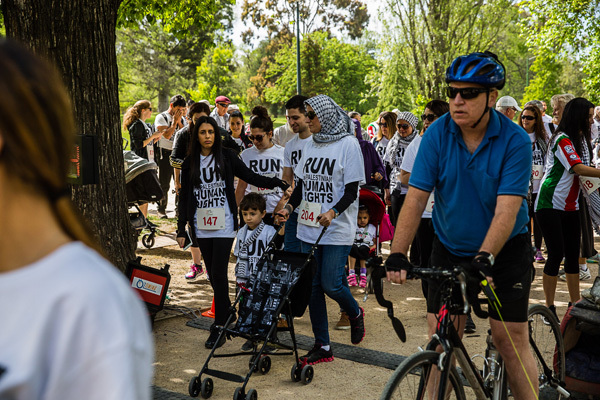 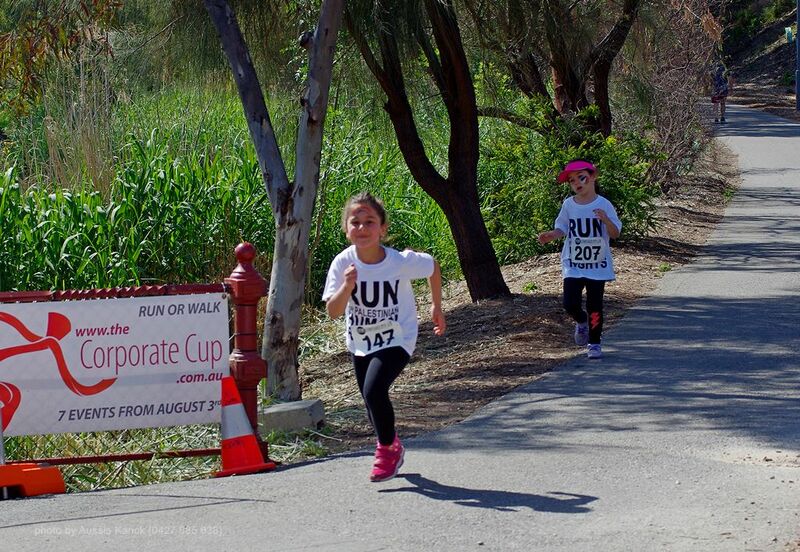 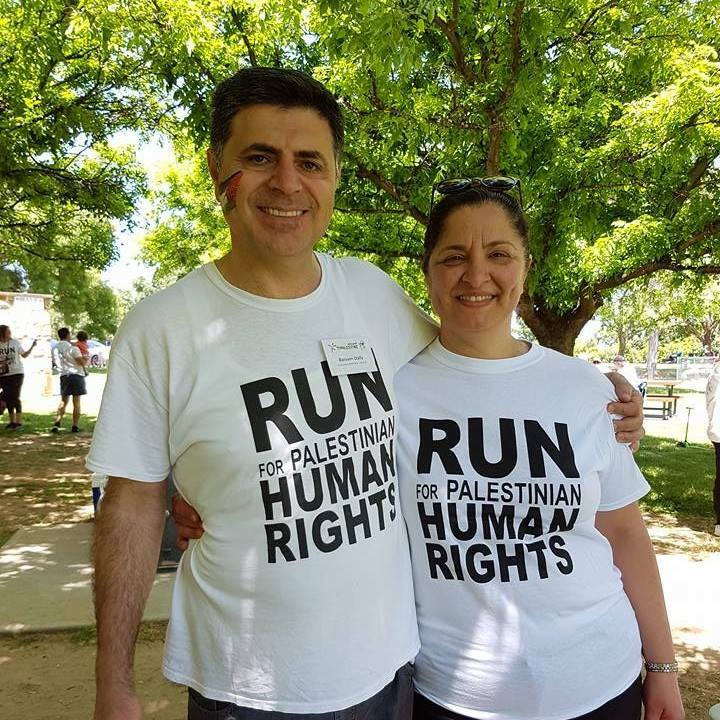 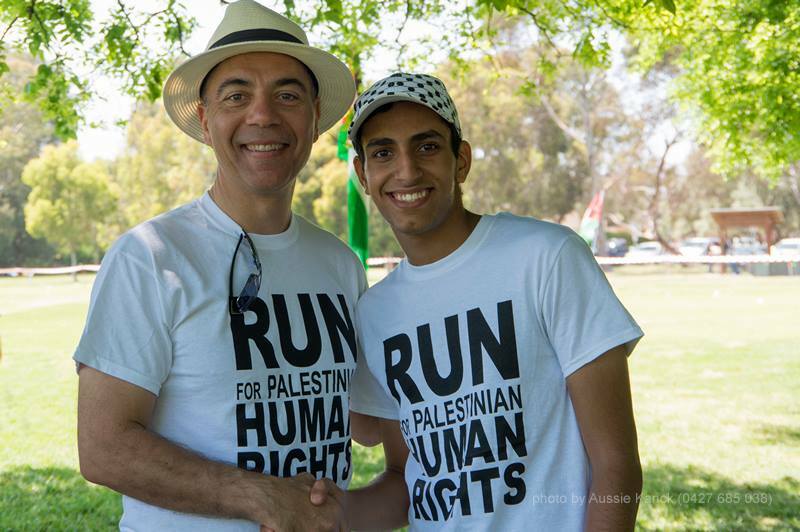 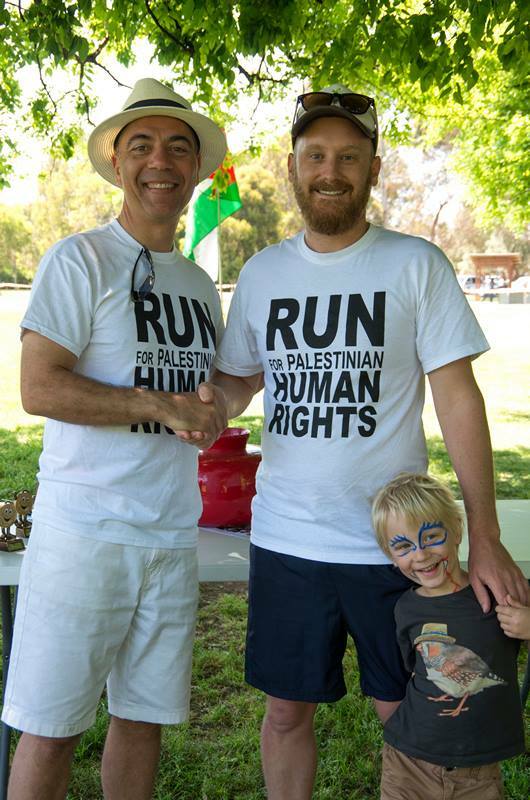 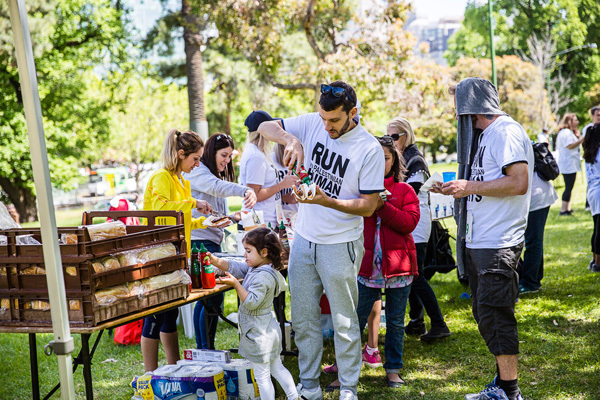 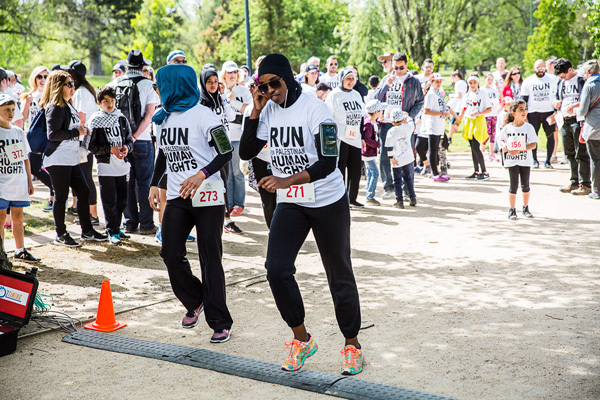 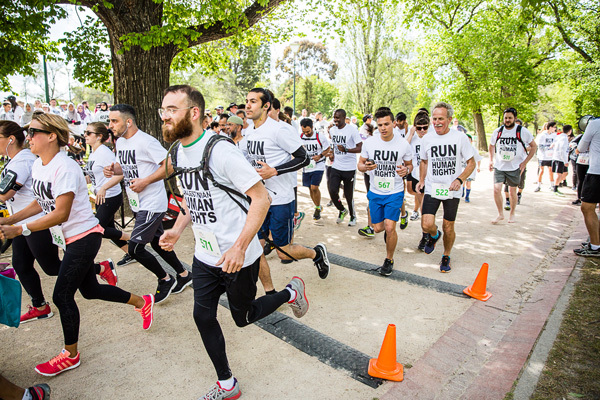 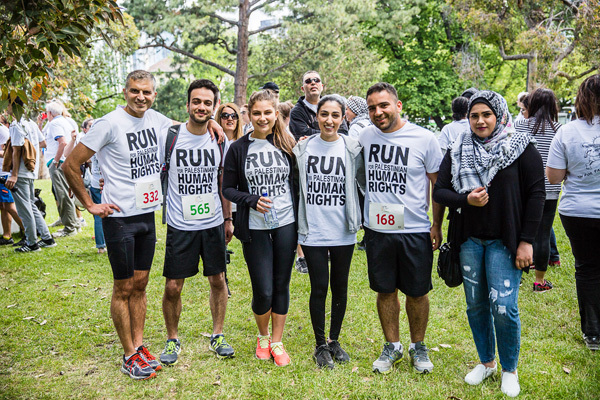 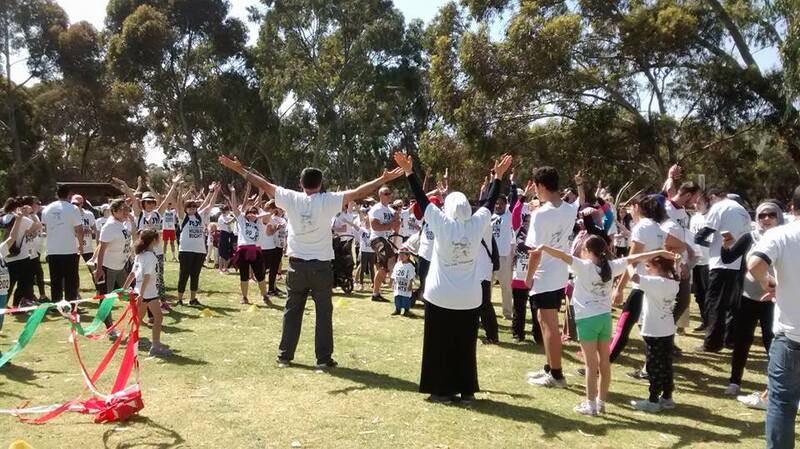 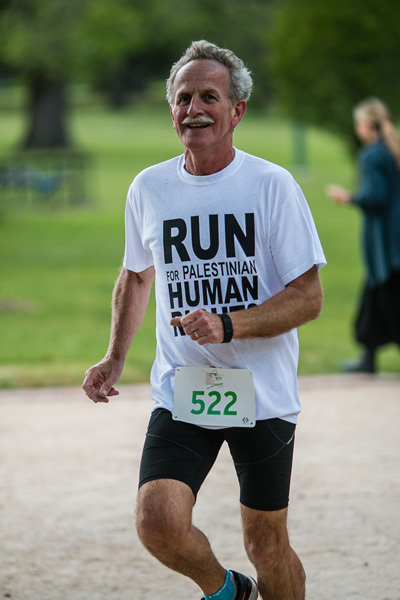 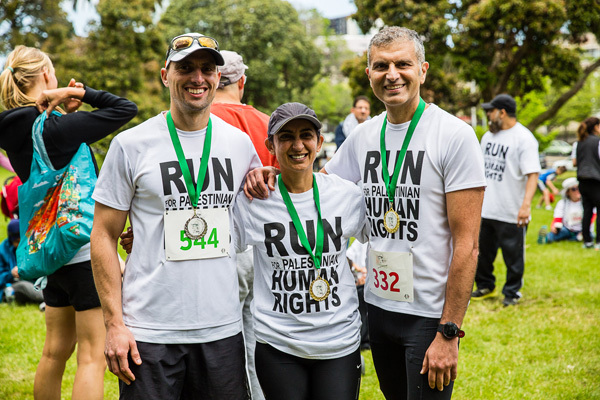 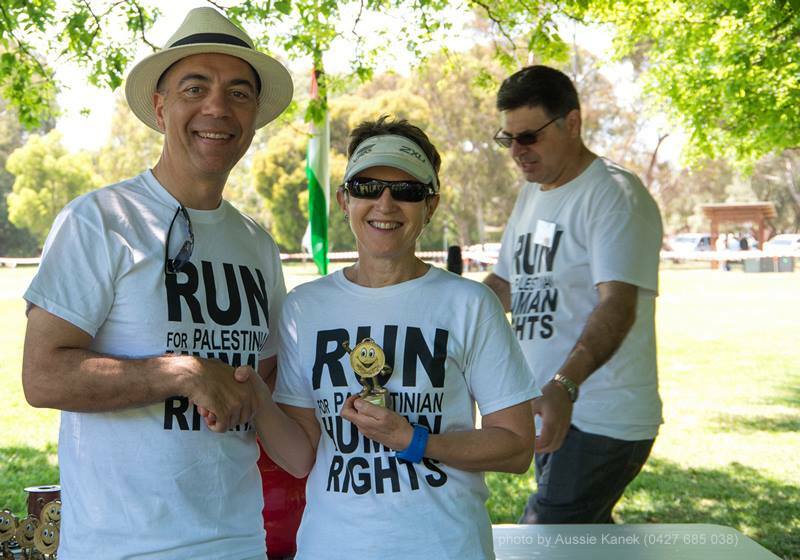 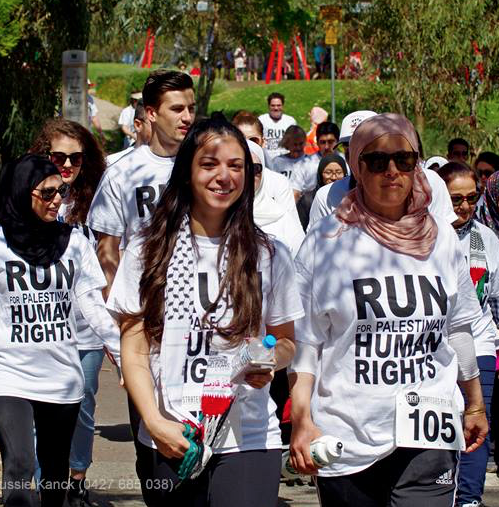 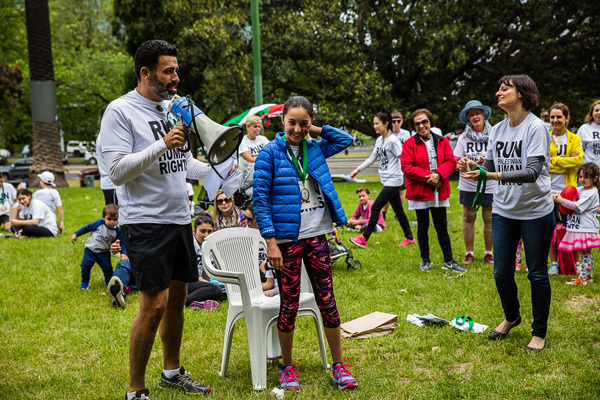 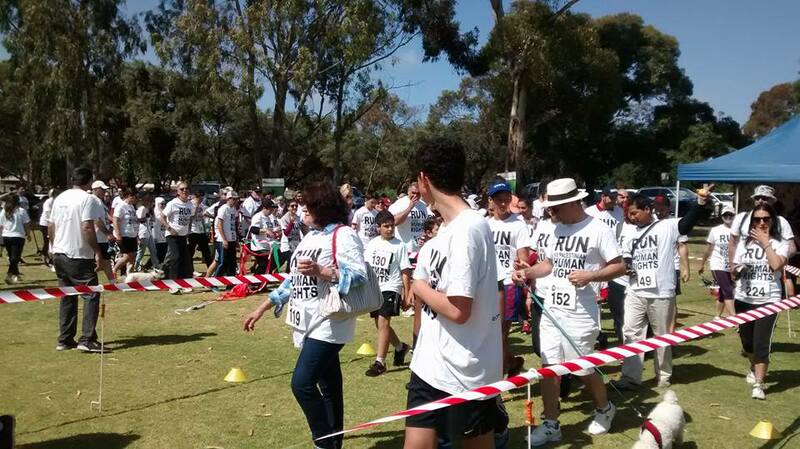 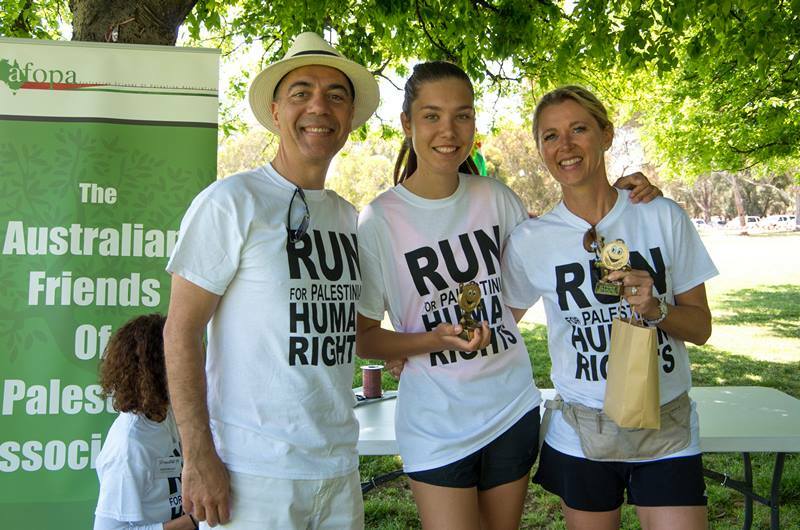 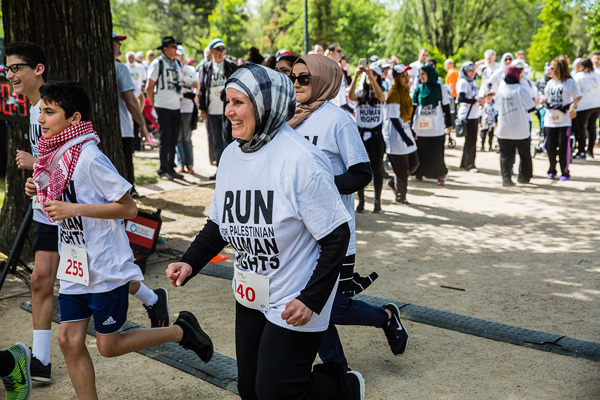 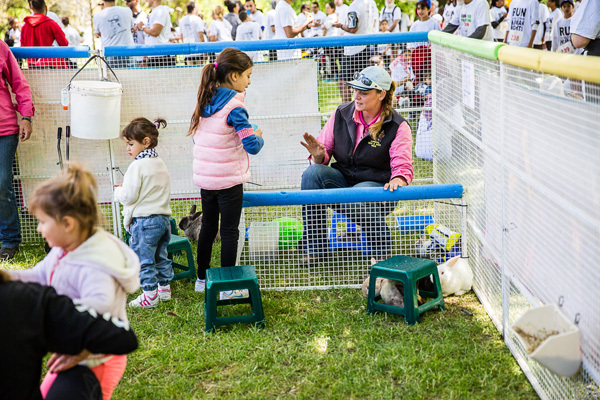 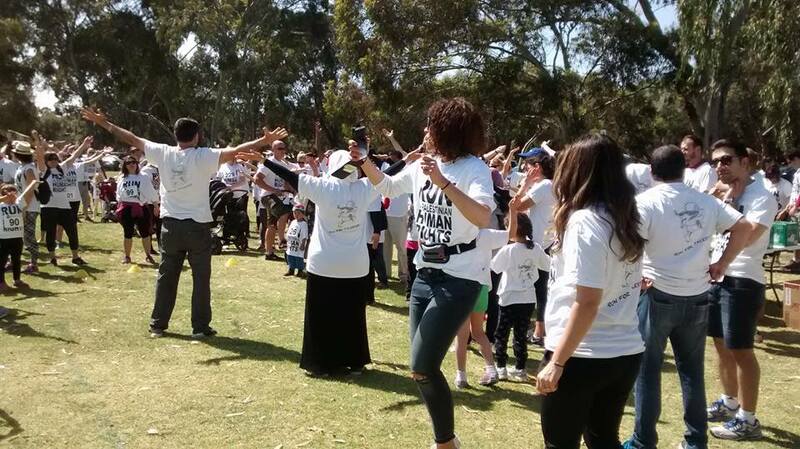 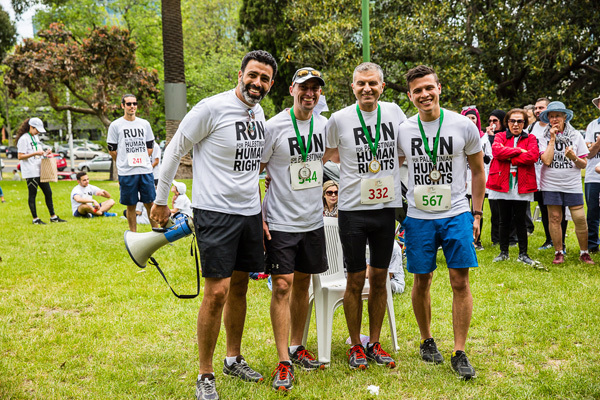 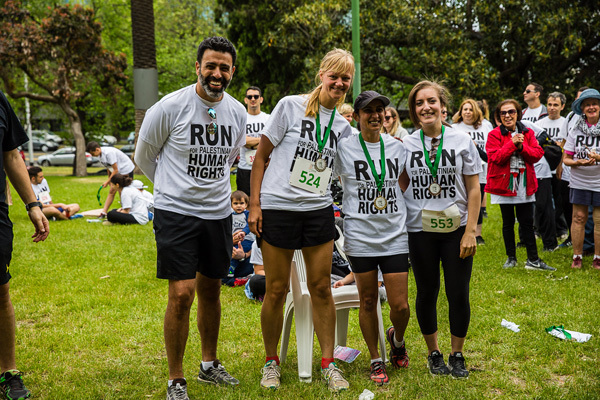 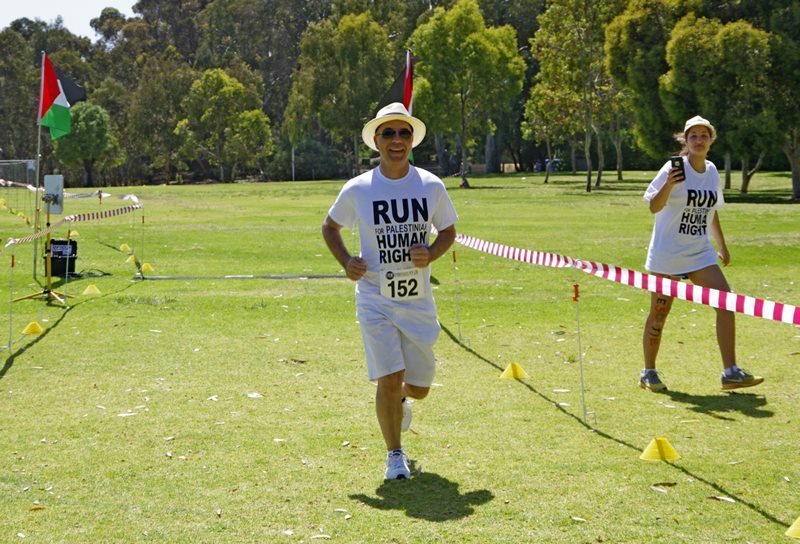 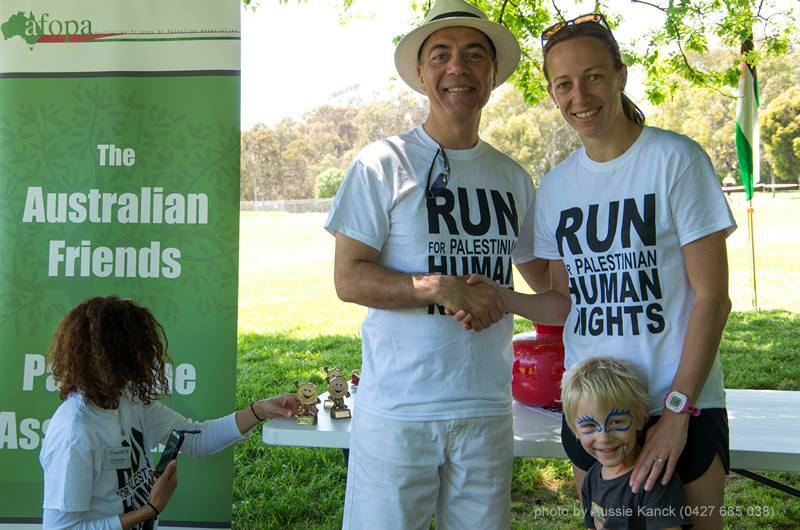 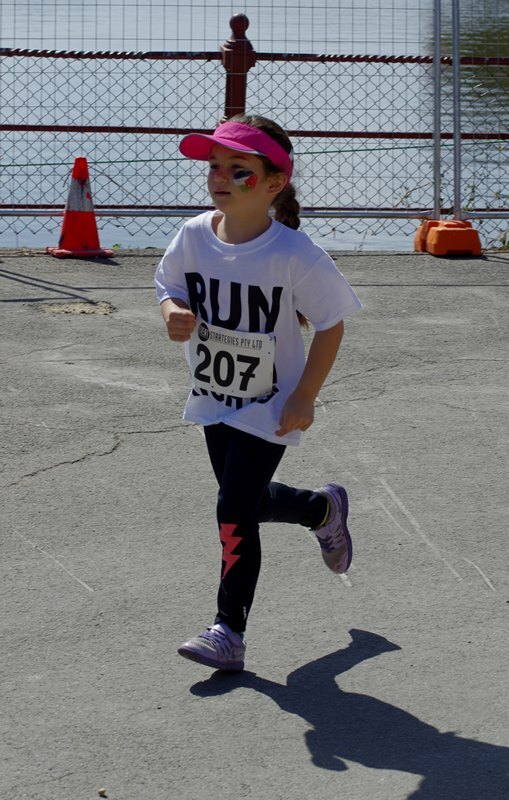 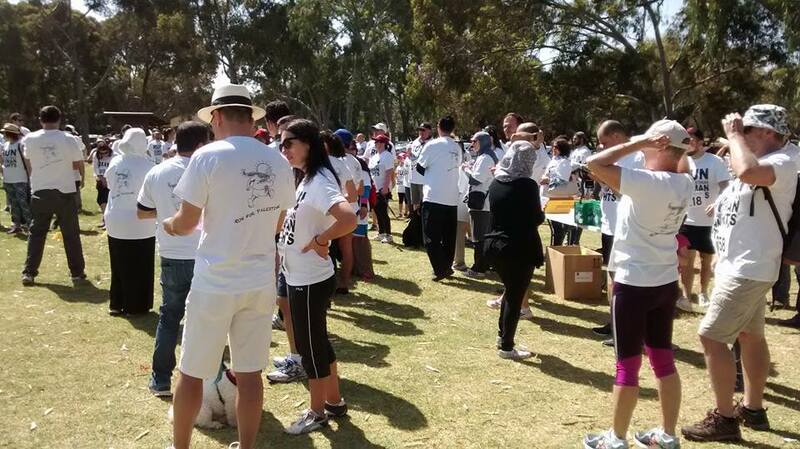 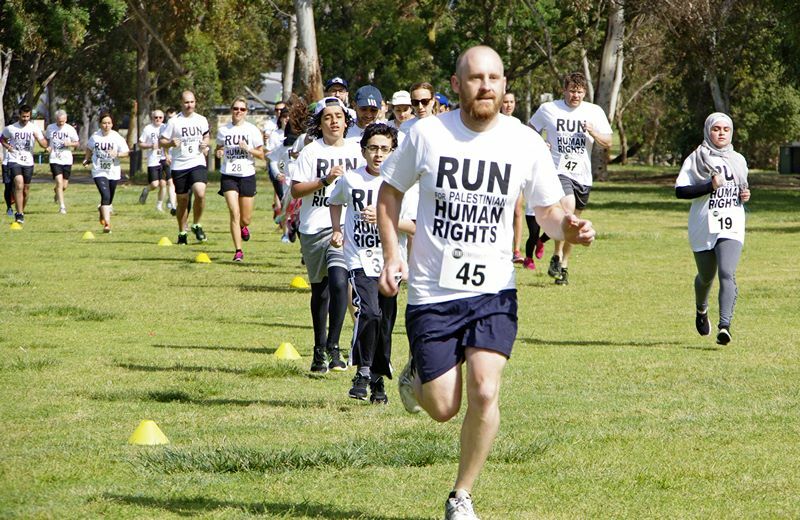 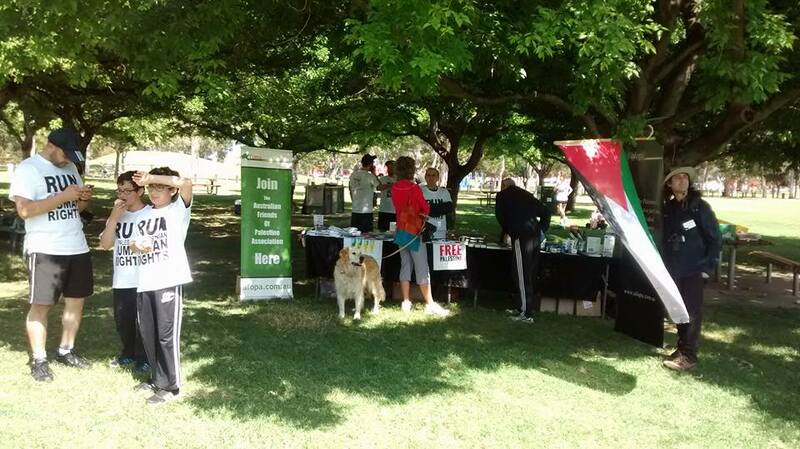 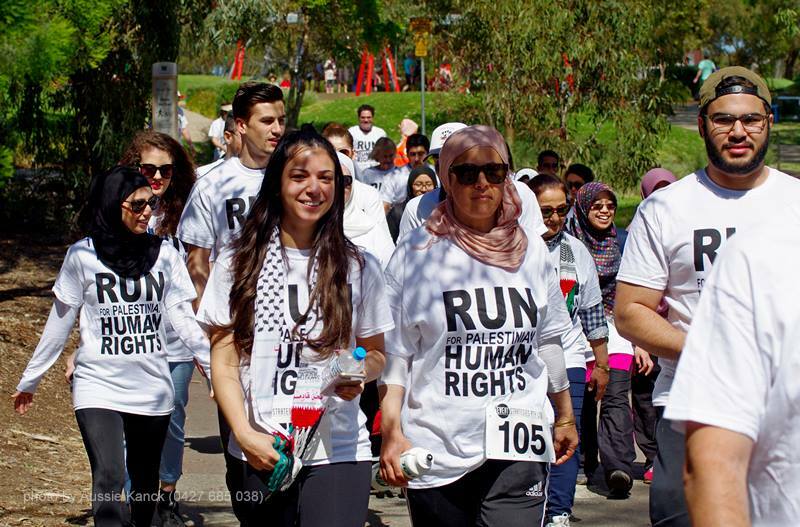 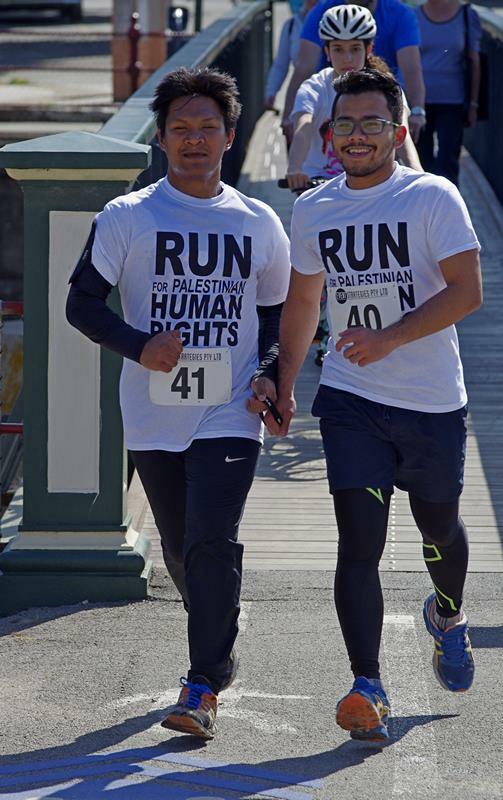 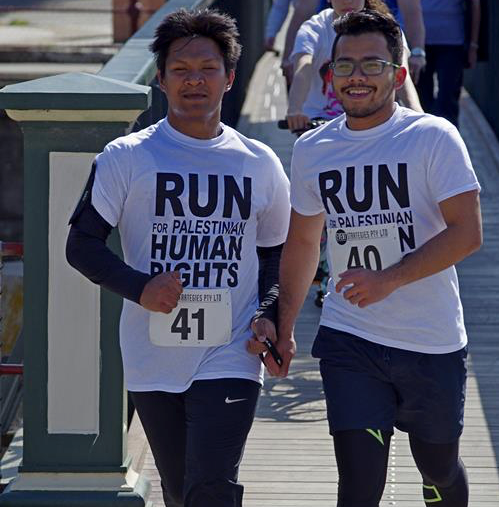 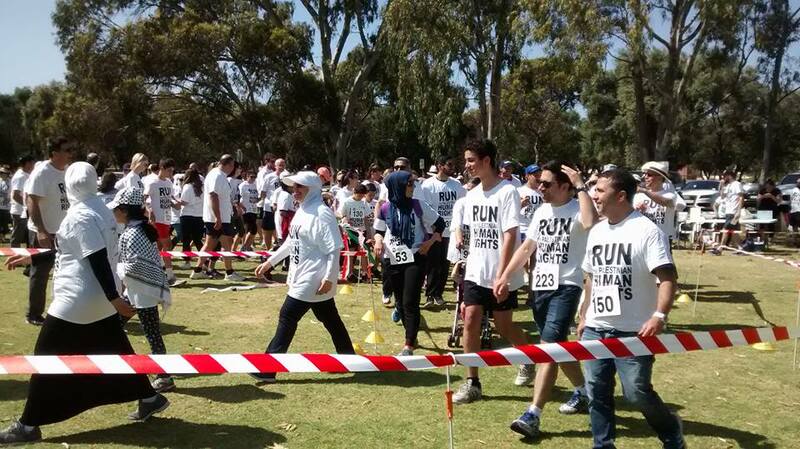 Australians for Palestine’s annual run was bigger and better than ever this year with over 600 people attending. 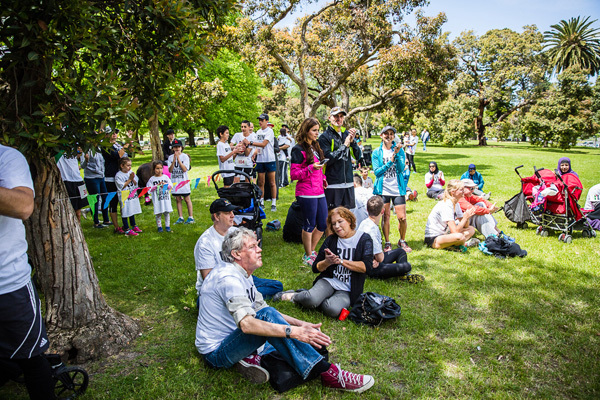 Judging from the photos below, the event attracted a mix of serious competitors who had trained long and hard to claim medals and times, walkers who just wanted the exercise and the company and plenty of others who were there to enjoy a wonderful family day in Melbourne’s most beautiful gardens under the warm spring sun. 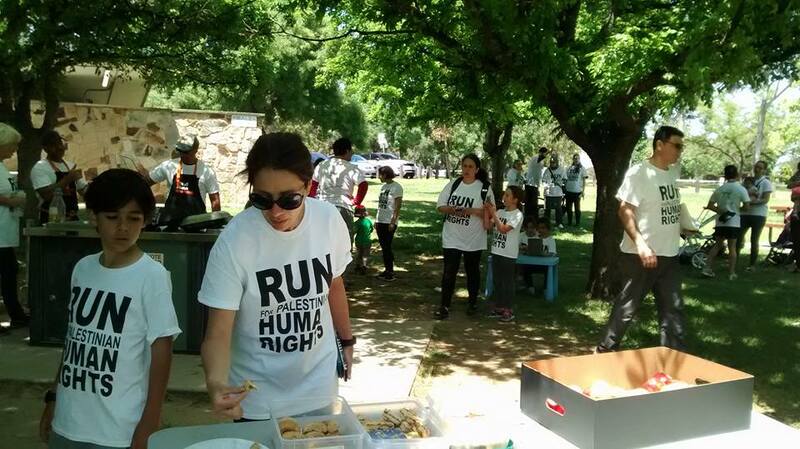 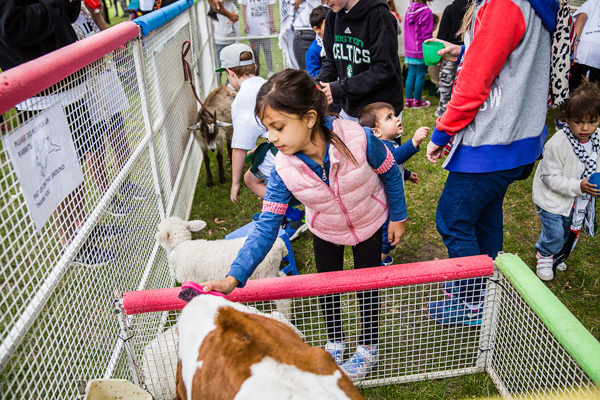 Three splendid bands had volunteered their talent and time to entertain everyone throughout the day and Kamahl Mashni’s famous BBQ’d sausages were already sizzling and ready for the hungry crowd once the run was over. 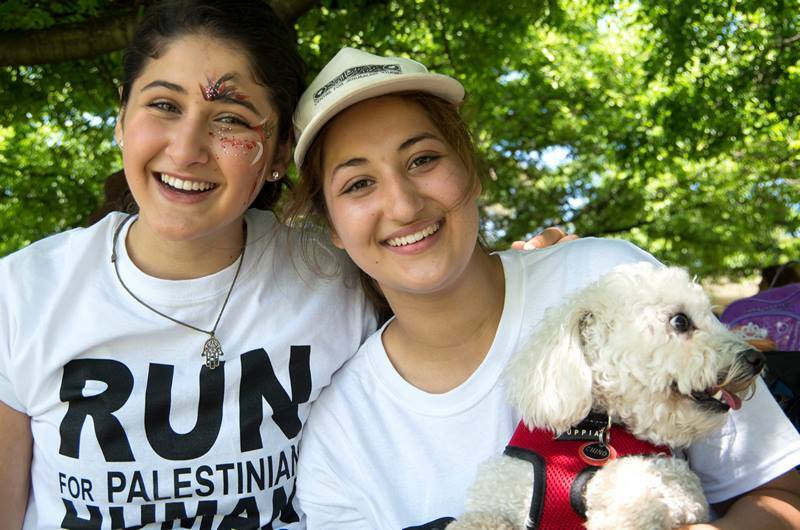 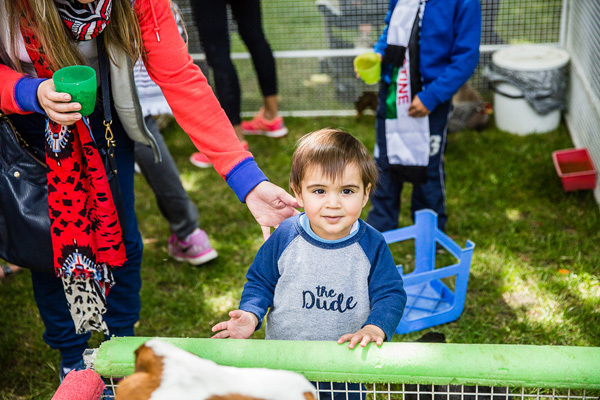 Children and adults alike took advantage of the face painting service offered while people collected their T-shirts and registered. 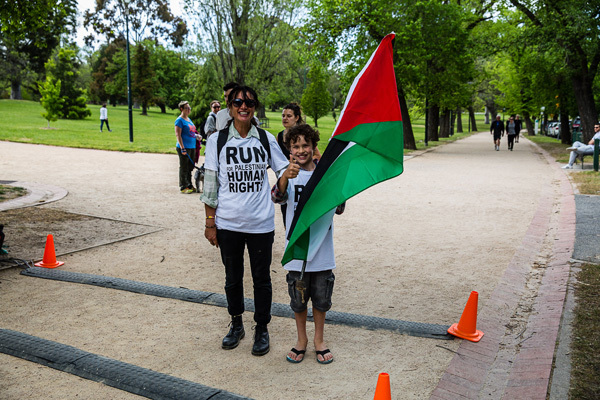 The queues were incredible, but everything ran like clockwork thanks to the tireless efforts of our long-time supporters and also members of Olive Kids. 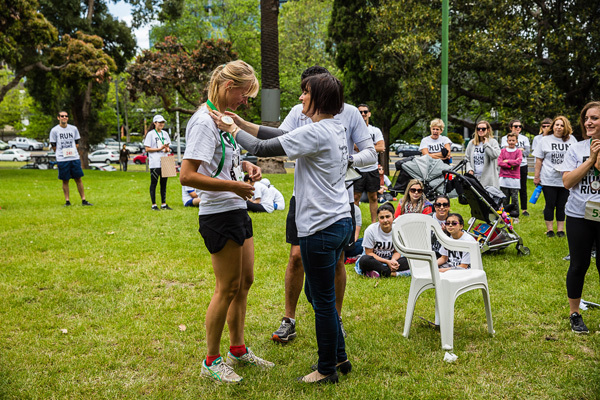 The run itself saw some familiar faces up on the winners’ dais, but there were also welcome new faces taking out prizes as well. 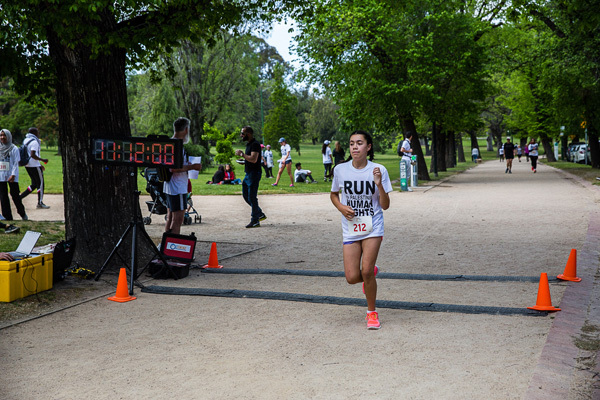 Oz Timing has all the results and times which can be found on their website. 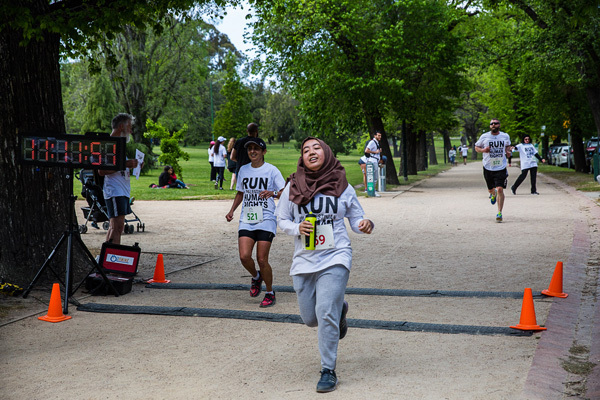 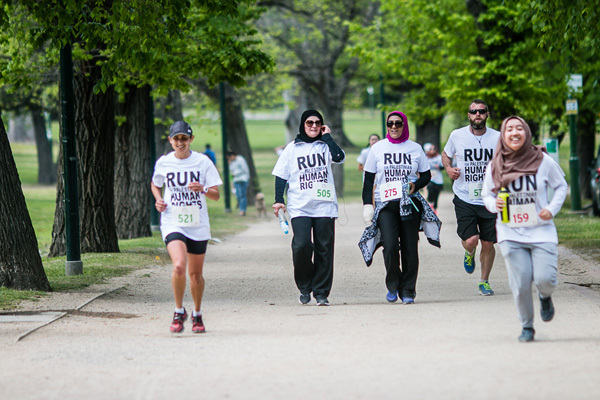 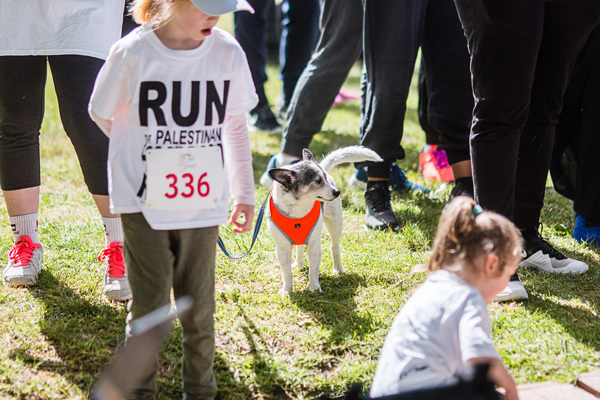 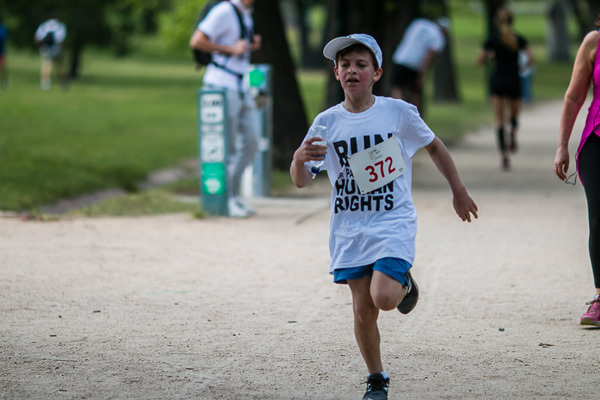 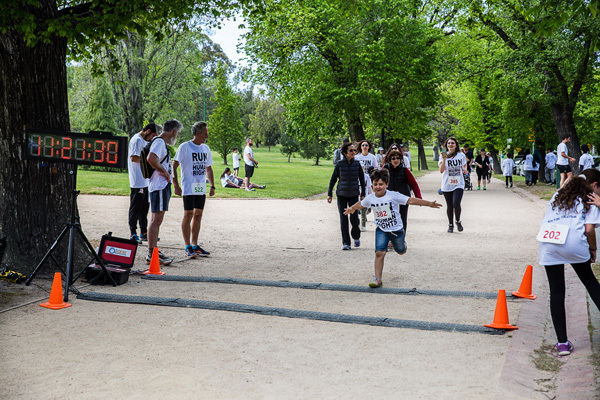 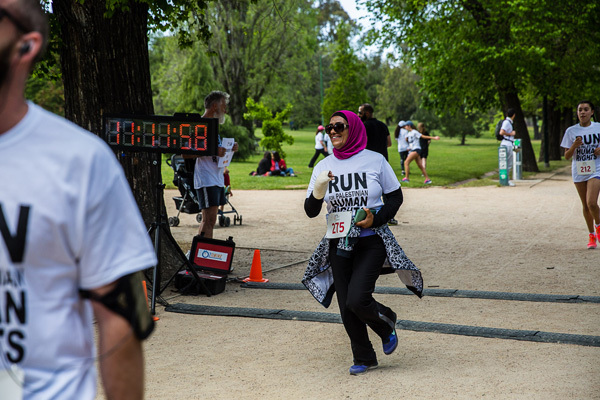 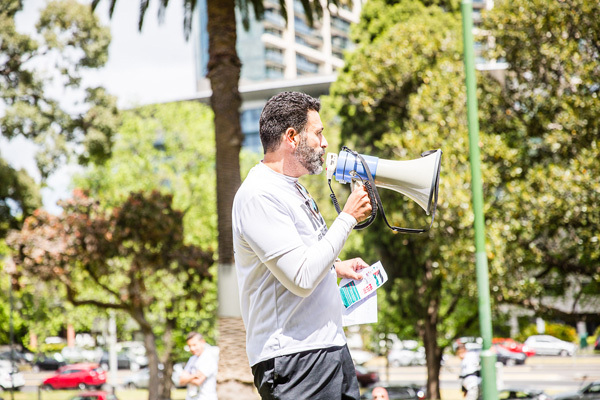 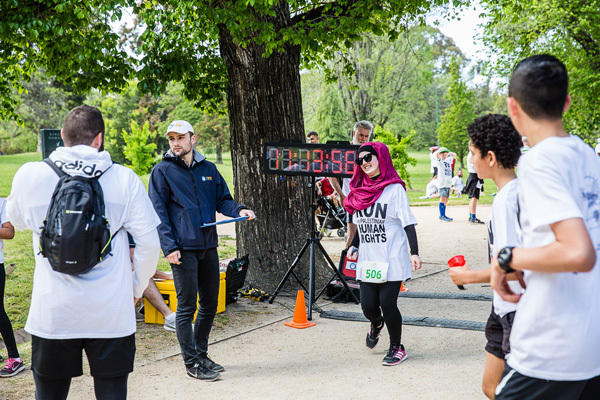 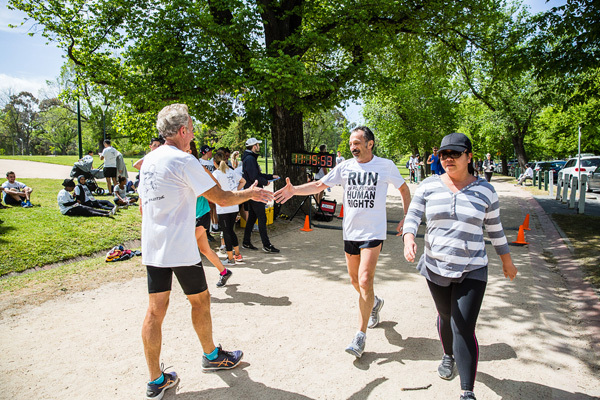 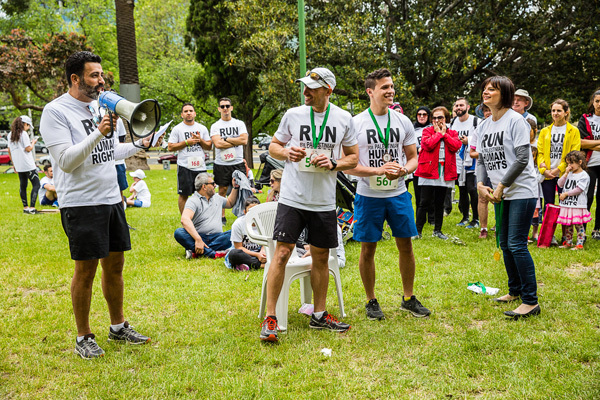 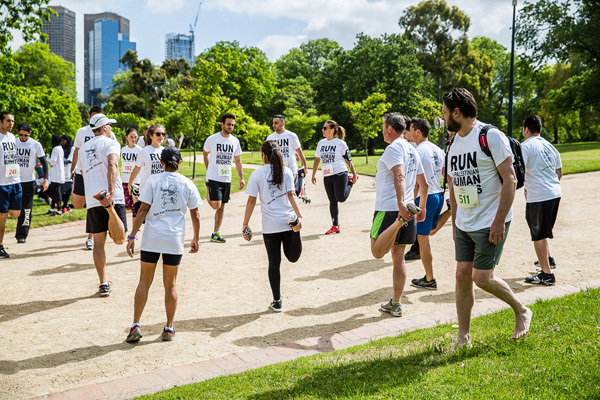 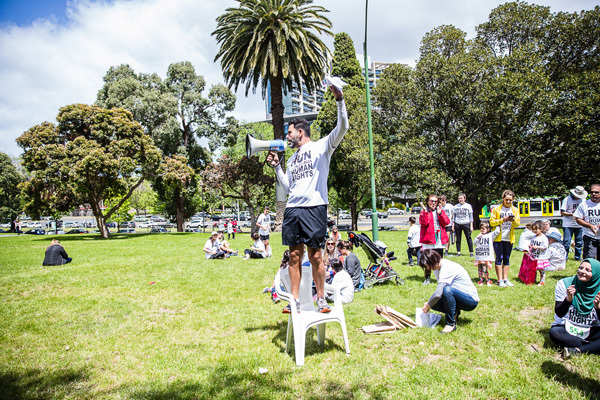 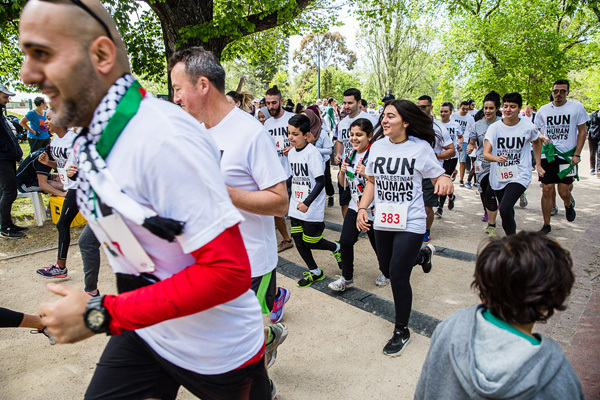 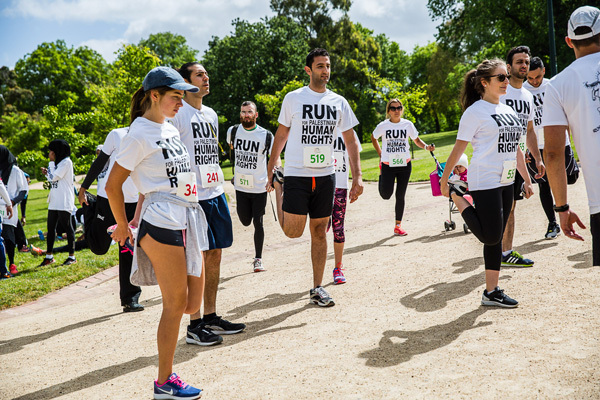 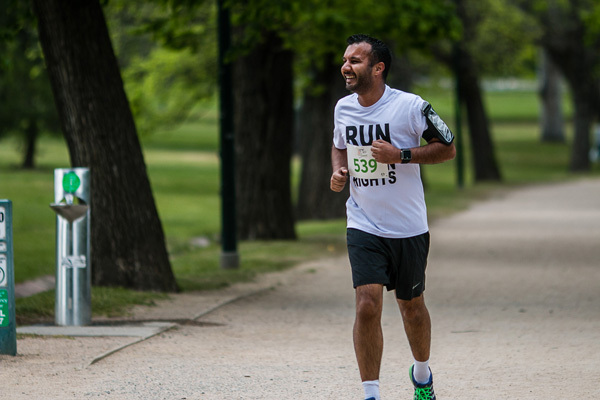 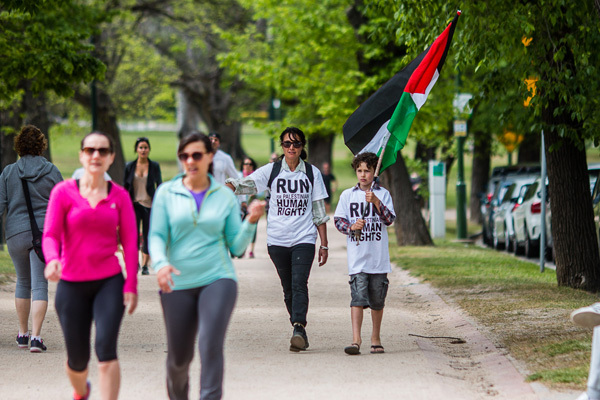 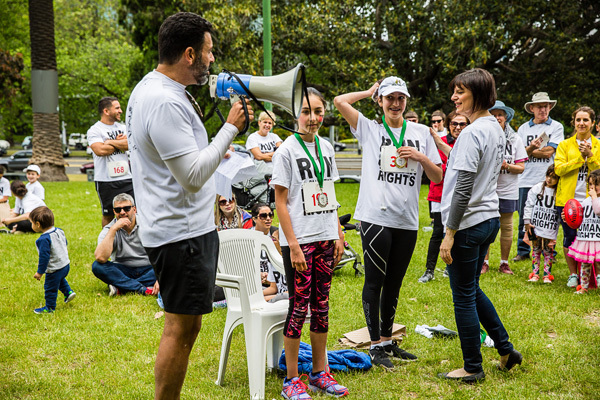 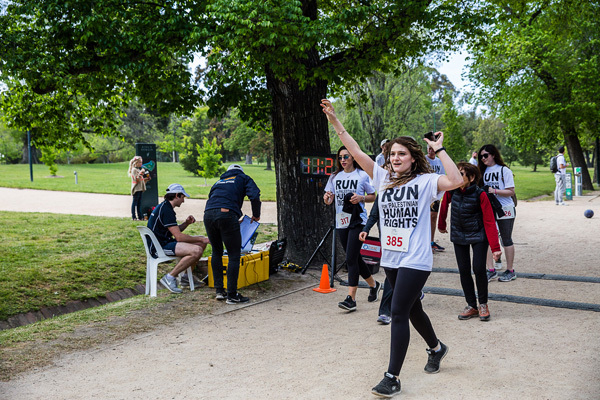 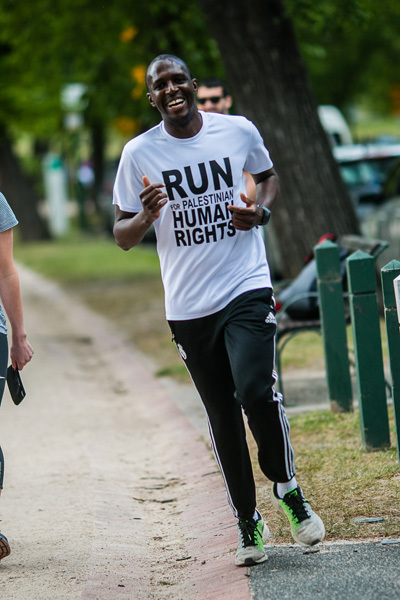 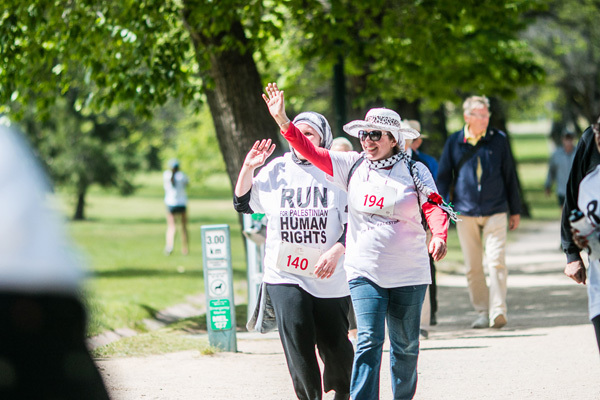 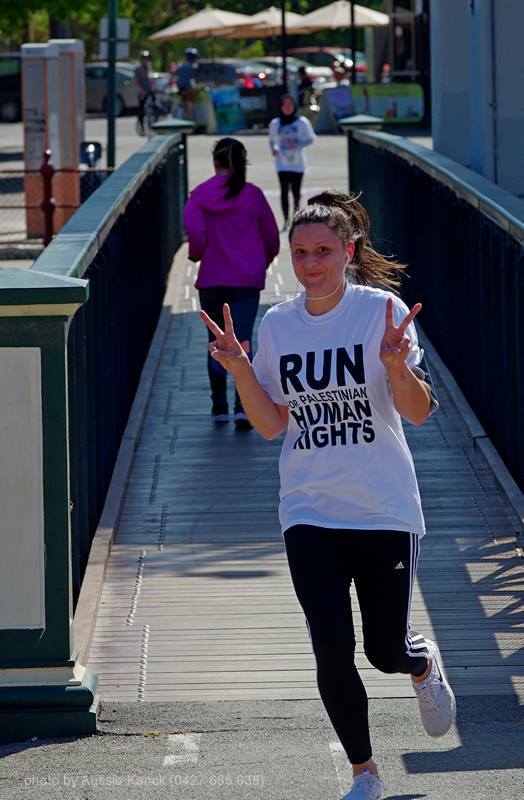 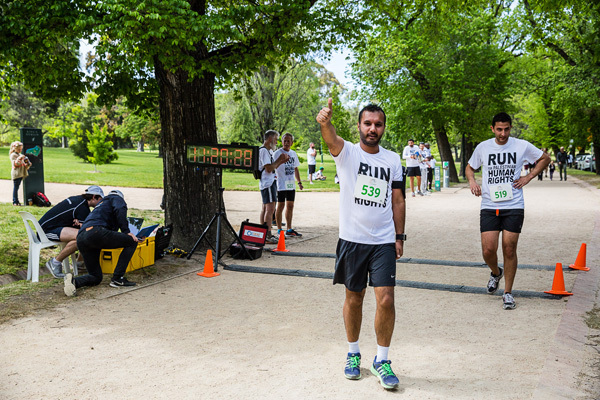 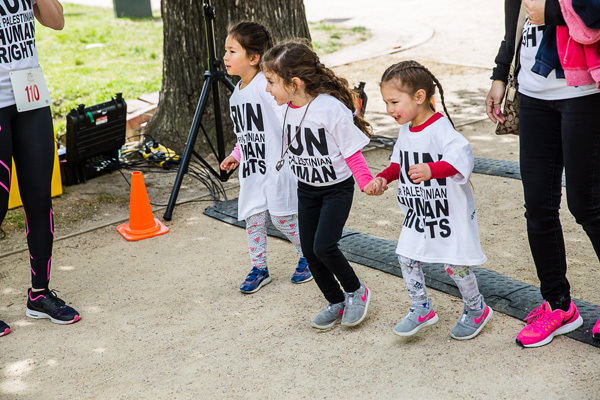 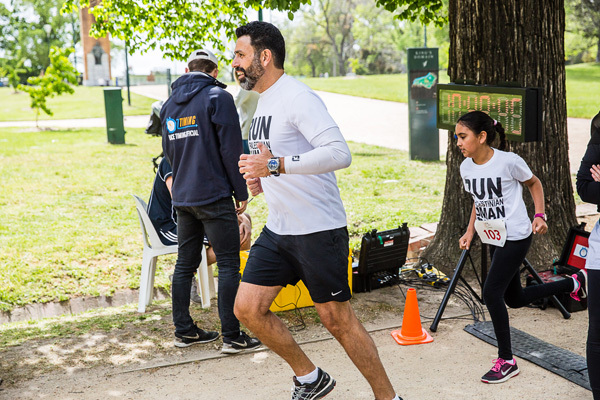 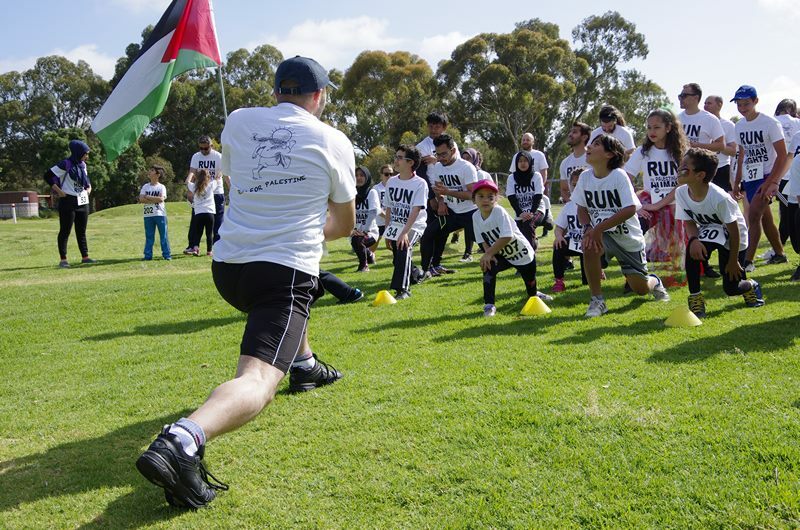 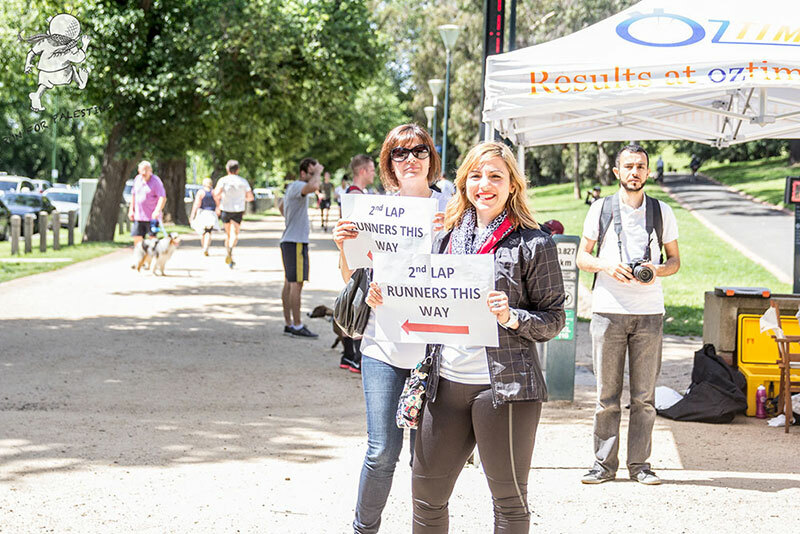 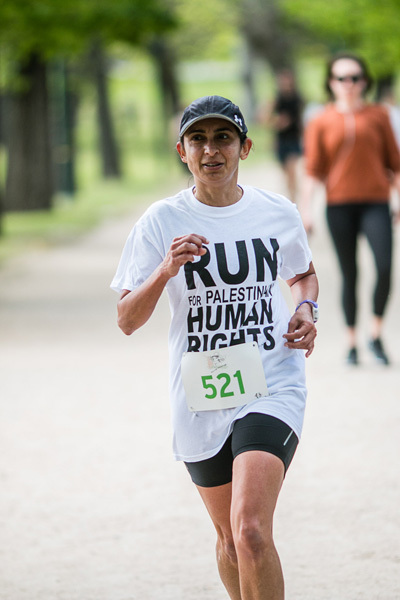 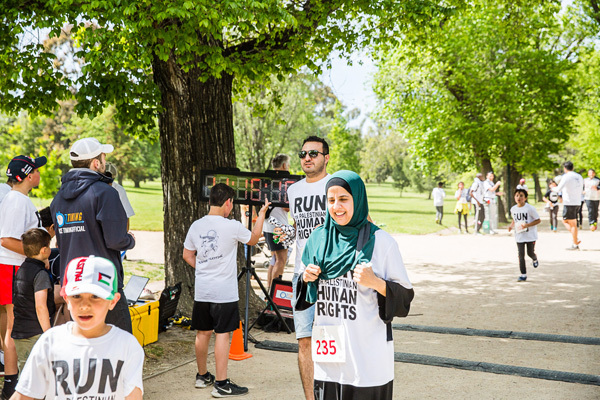 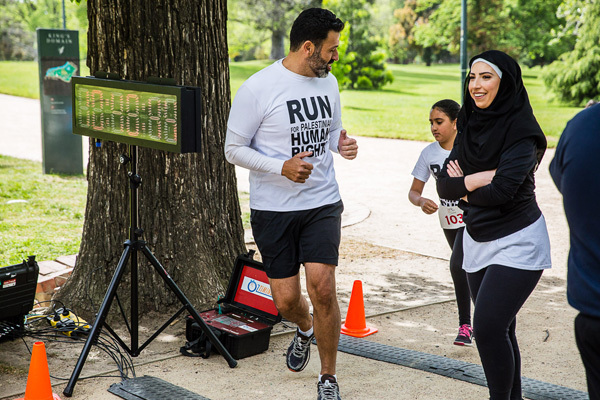 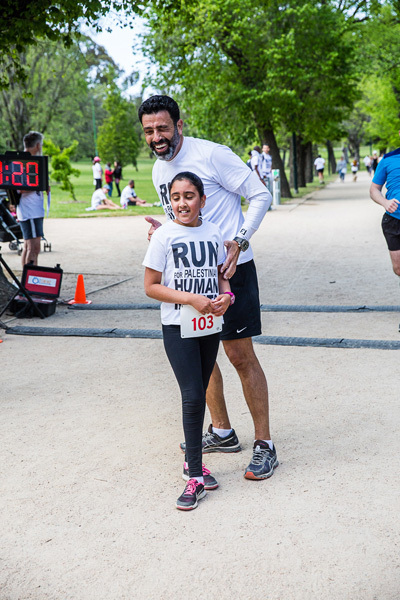 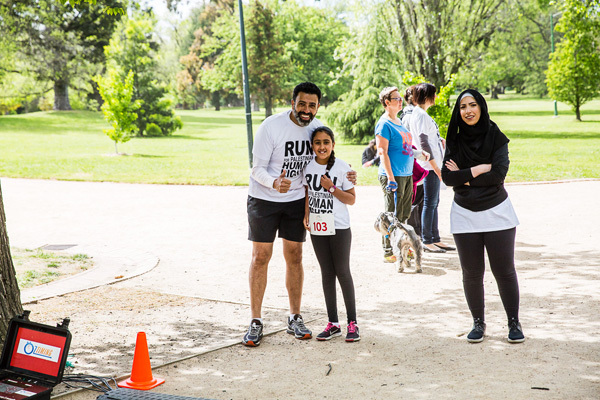 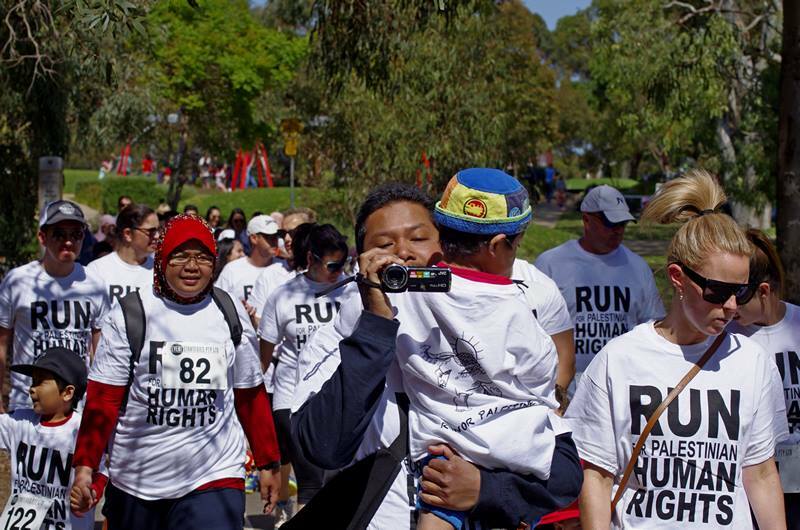 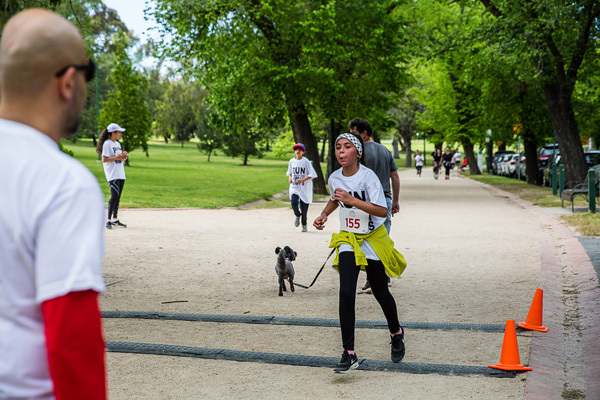 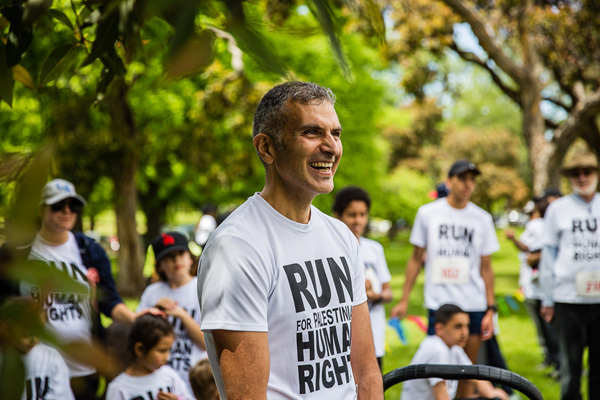 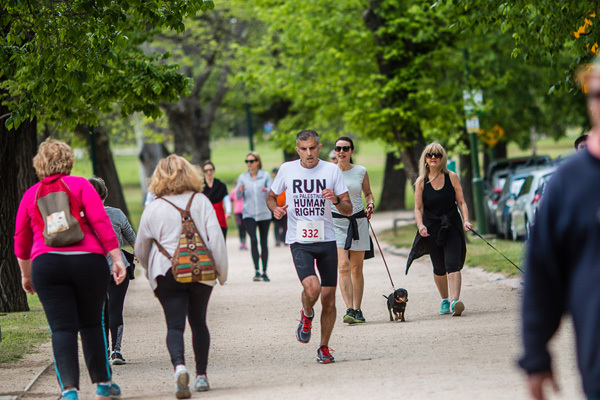 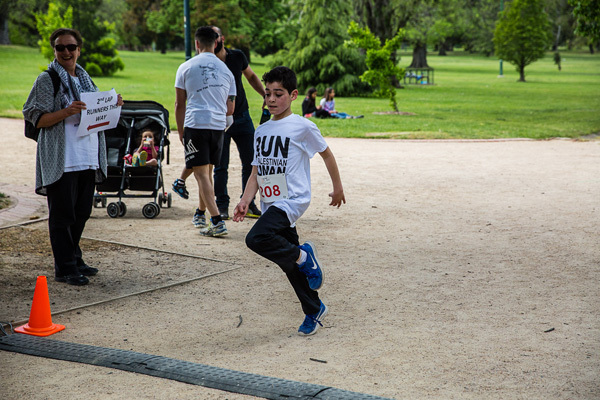 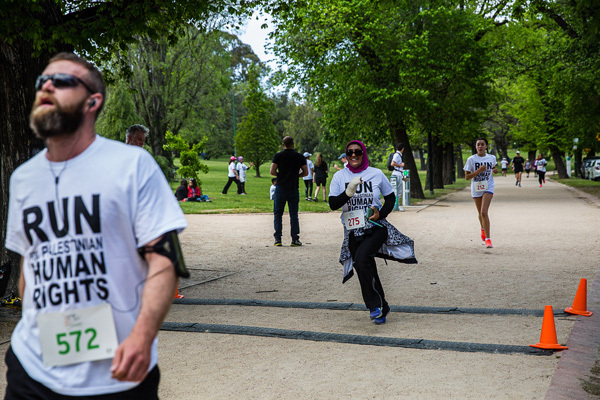 As runners and walkers made their way round Melbourne’s much loved Tan, the Palestine message could not be ignored by others doing the circuit as well. 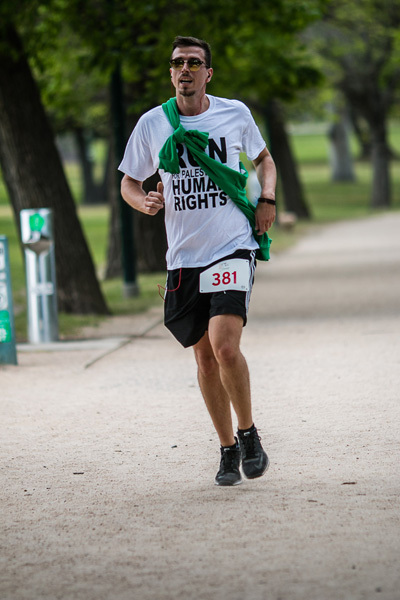 It was heartening to see how well received that message was. 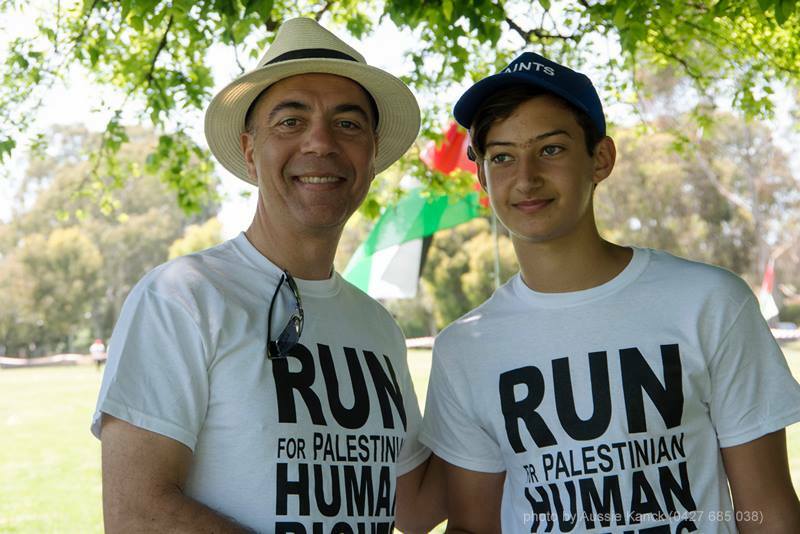 There could be no better advertisement than young and old showing their commitment to Palestinian human rights and freedom through a simple and ordinary past-time enjoyed by people from all walks of life and backgrounds. 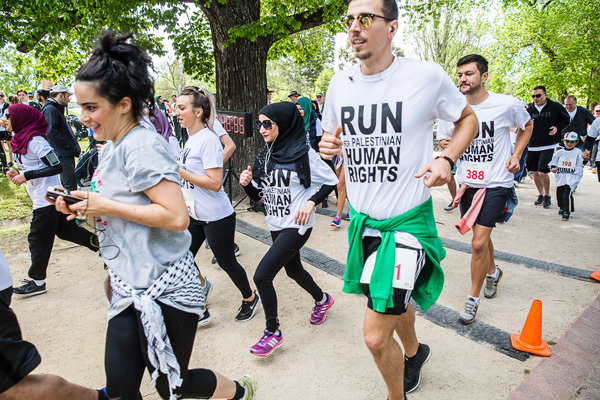 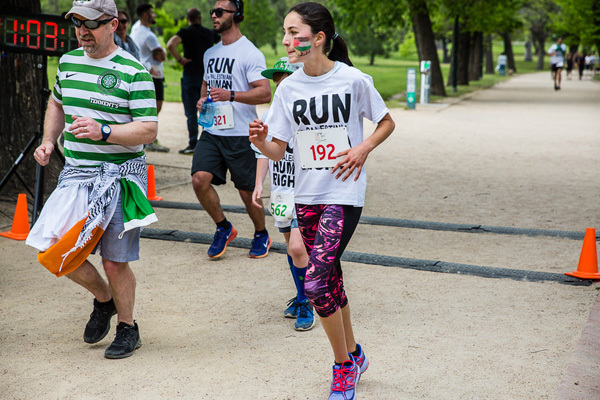 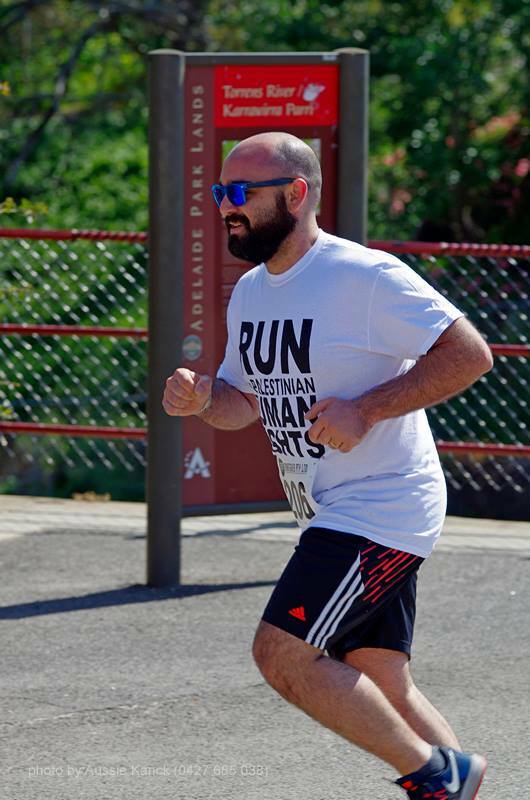 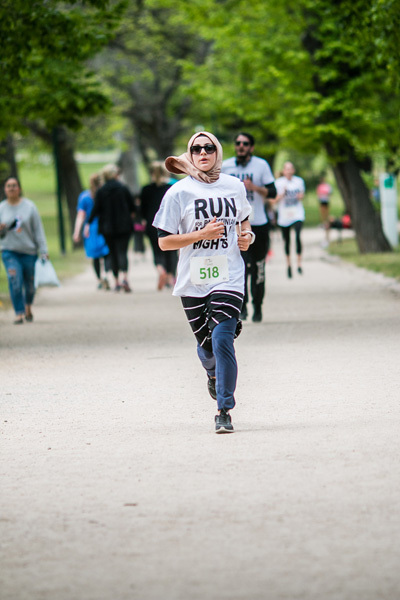 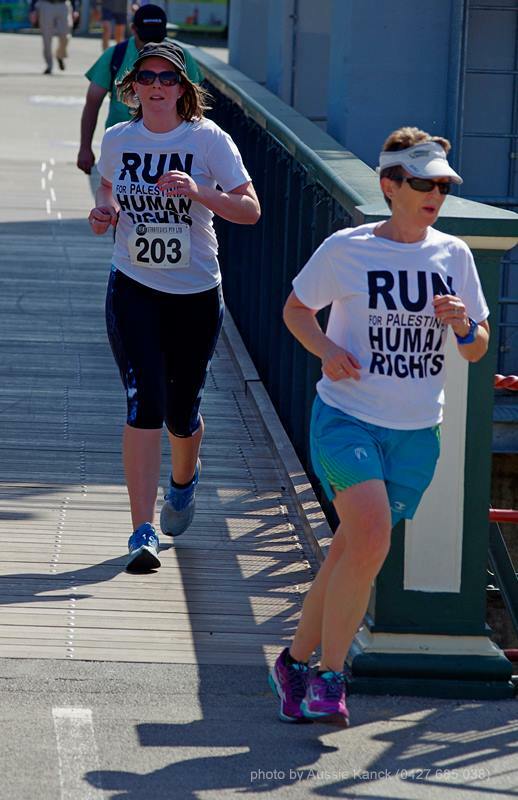 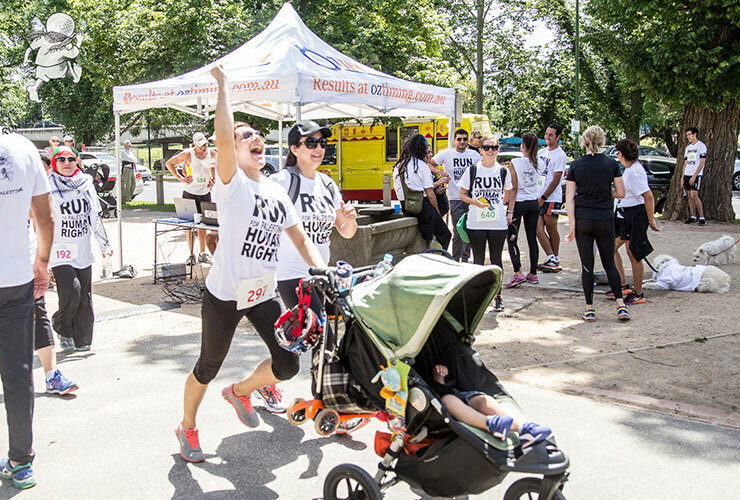 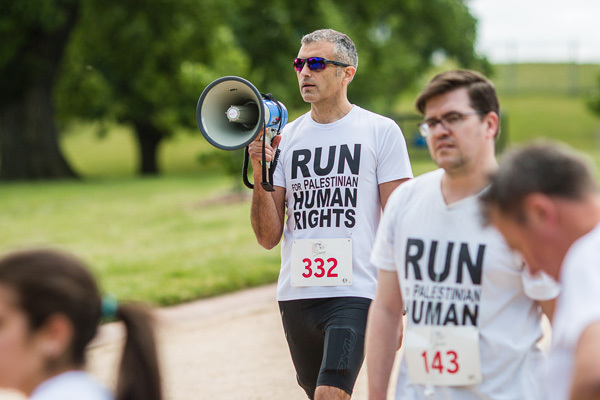 Palestine is the heart and soul of this run with T-shirts sporting the lovable Palestinian mascot Handala, Palestinian flags waved and carried, the signature black and white chequered keffiyehs draped on shoulders and Palestine motifs painted on faces. 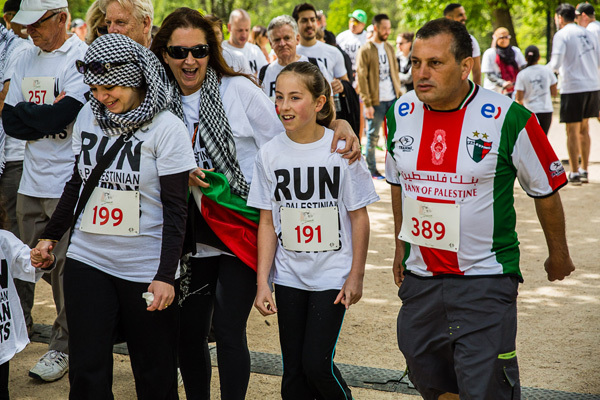 The passion, which drives Palestinians and supporters to help the children in Gaza, is uplifting every time. 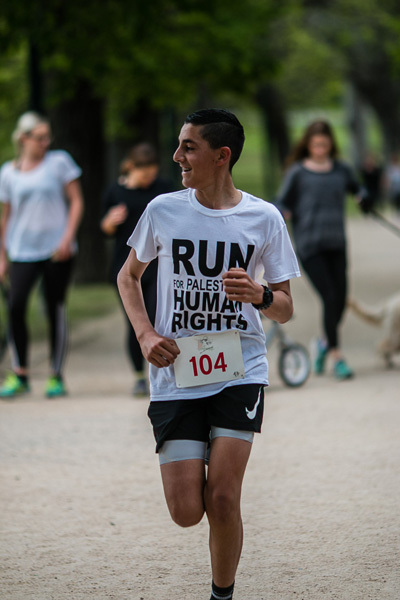 This year, we will be sending over $20,000 to the Palestinian Red Crescent Society for the rehabilitation of handicapped children. 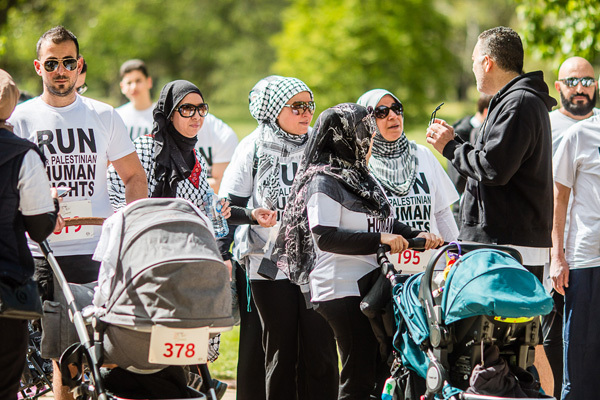 It may be a drop in the ocean to what the children in Gaza need, but even to help a few is a beginning. 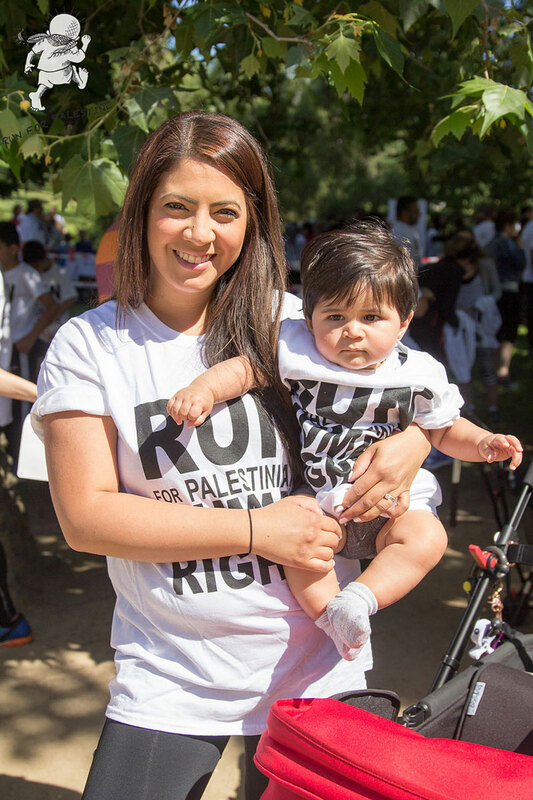 We have no doubt that as more and more people hear of the Palestinian struggle, the desire to help will grow. 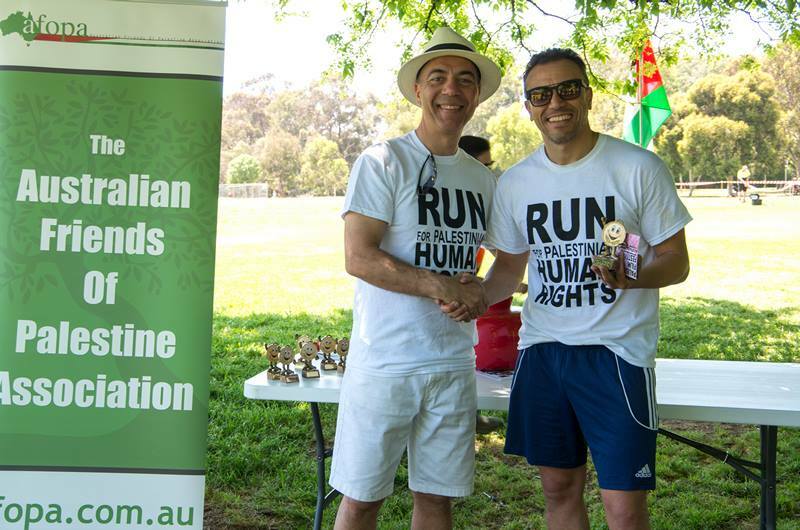 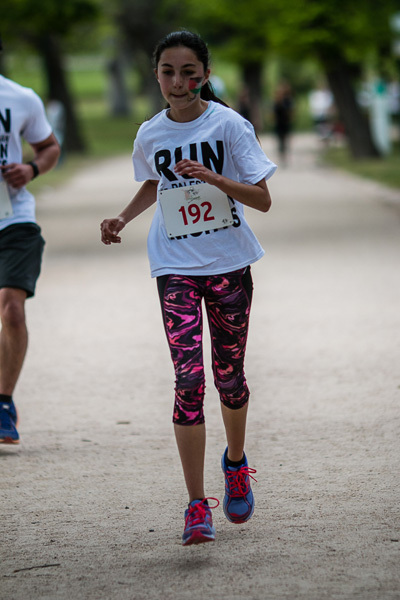 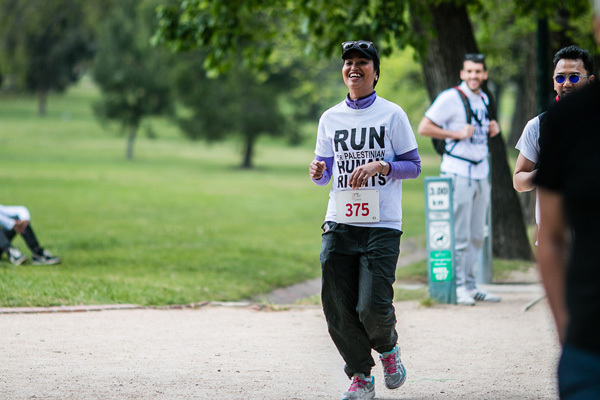 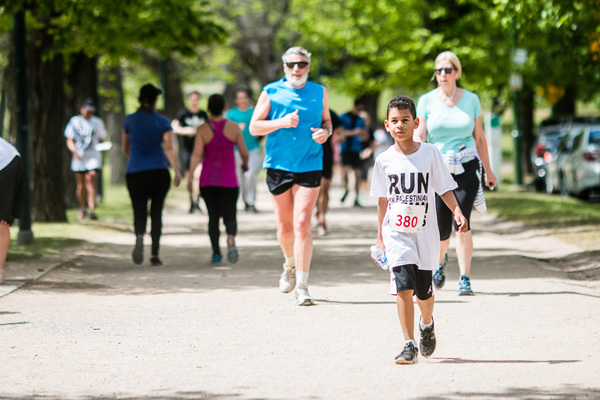 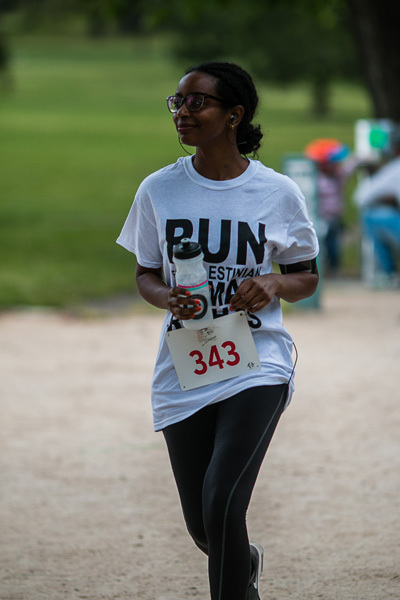 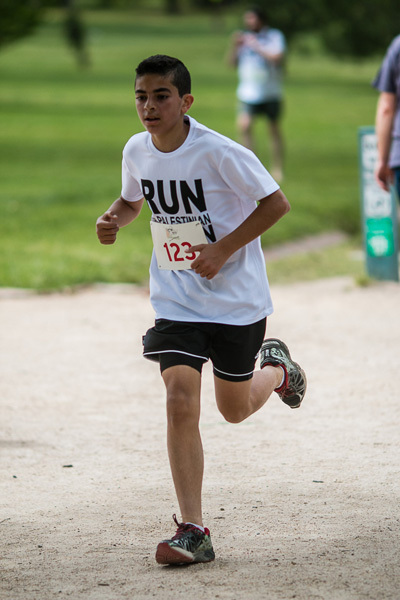 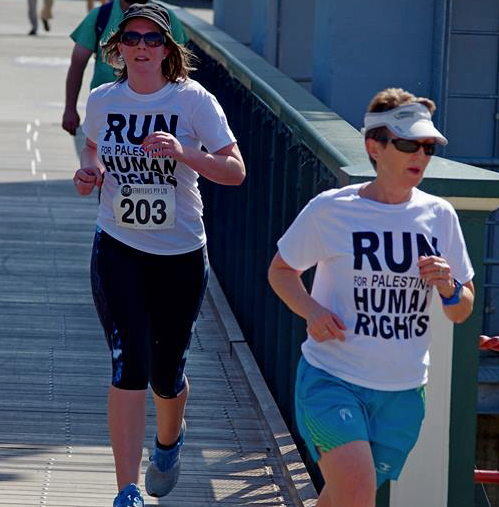 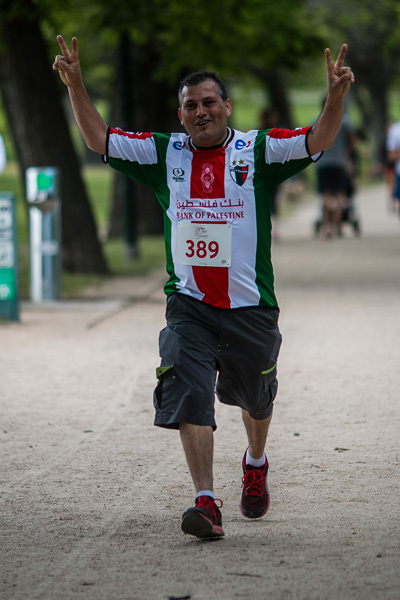 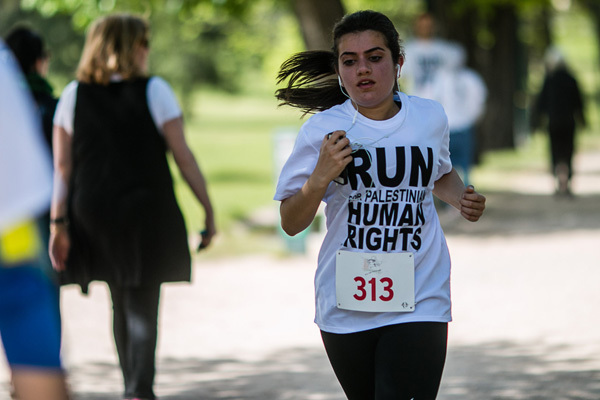 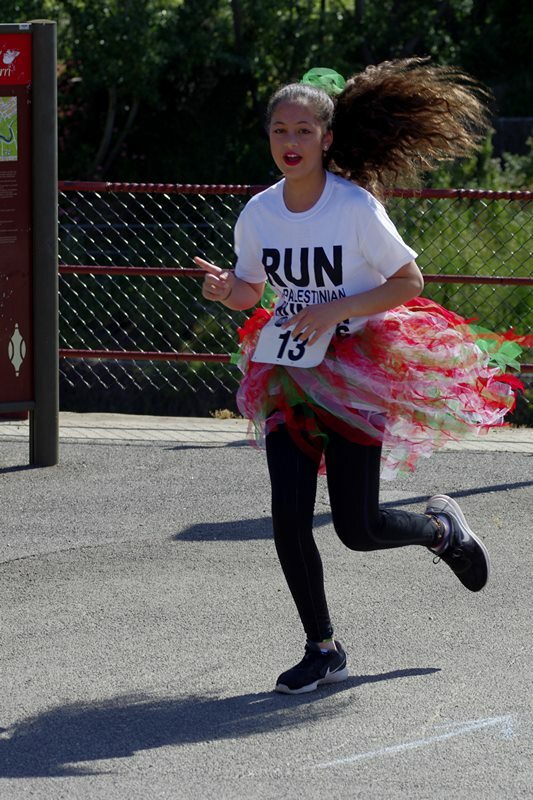 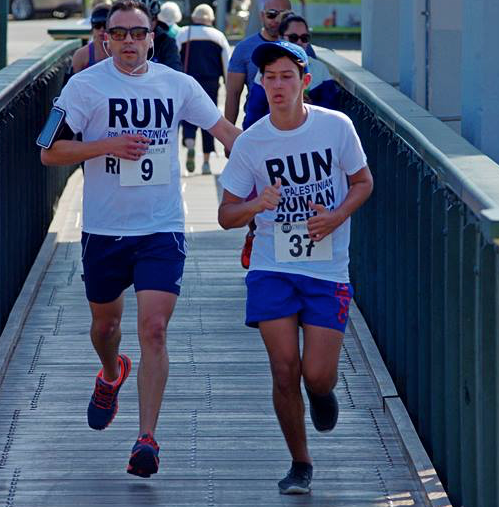 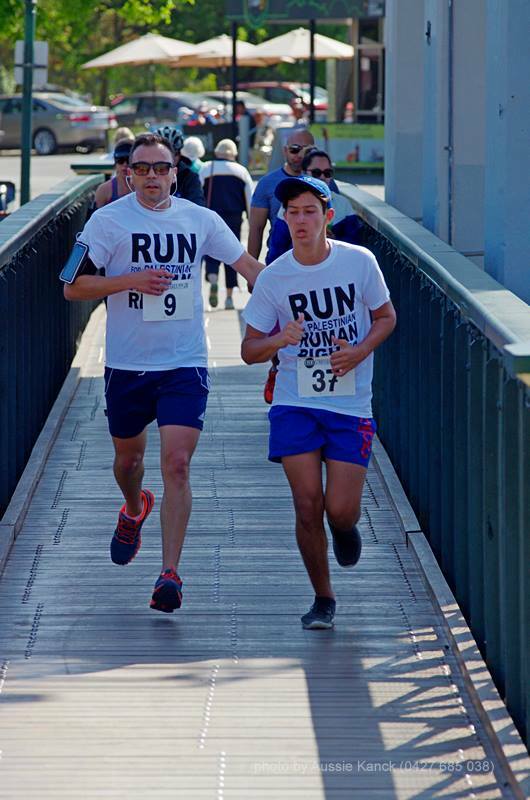 Run for Palestine will keep that ball rolling as we plan for the 2016 event from now. 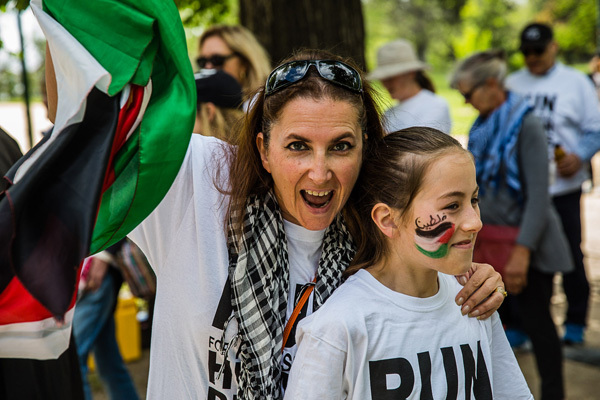 Palestinian roots run deep in their homeland and the yearning to see Palestinians free and able to take pride in their heritage wherever they may be is a constant heartbeat that keeps every generation connected and remembering. 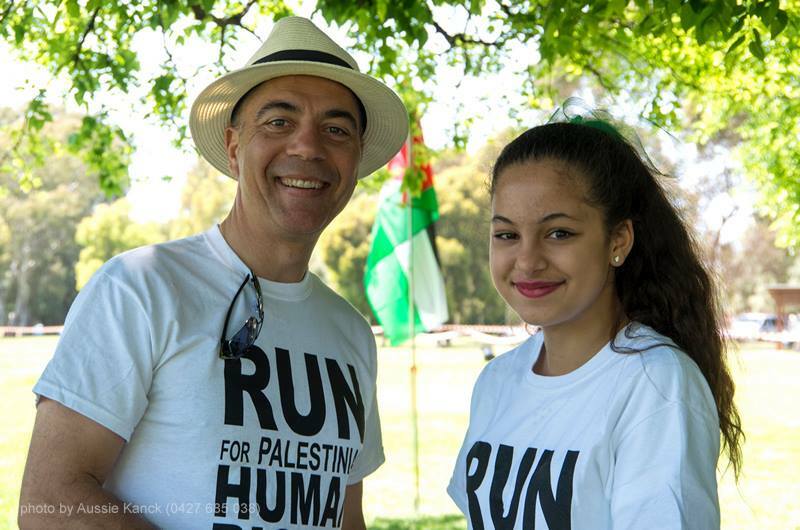 The day finished with Aseel Tayah giving a resounding rendition of the much-loved Palestinian anthem “Mawtini” – My homeland and stirring up everyone to join her in the final chorus. 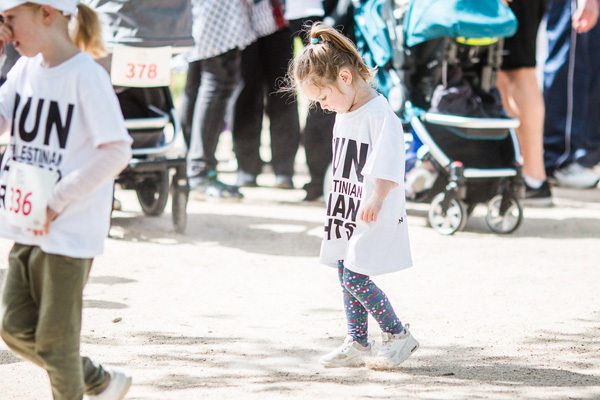 It was difficult not to get choked up and hold back the tears. 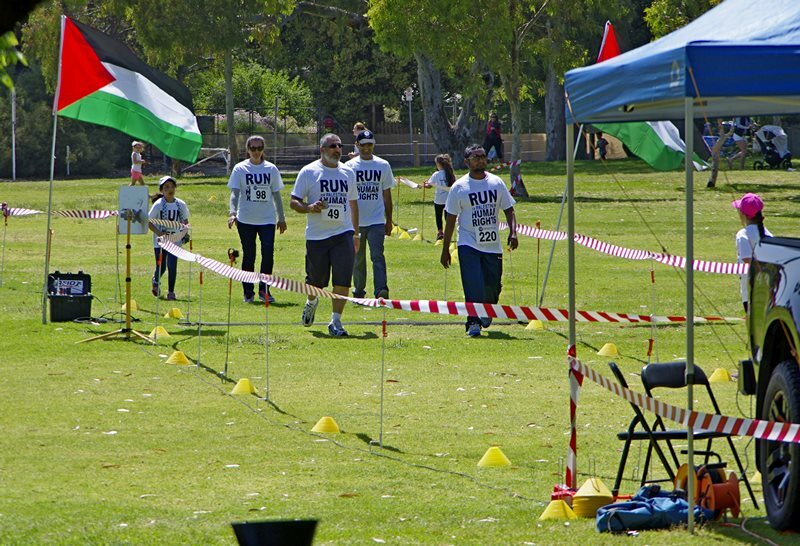 At that moment, few doubted that Palestine’s day of freedom would come.